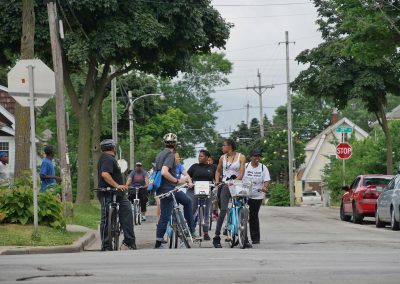 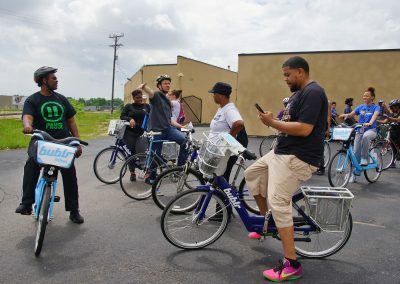 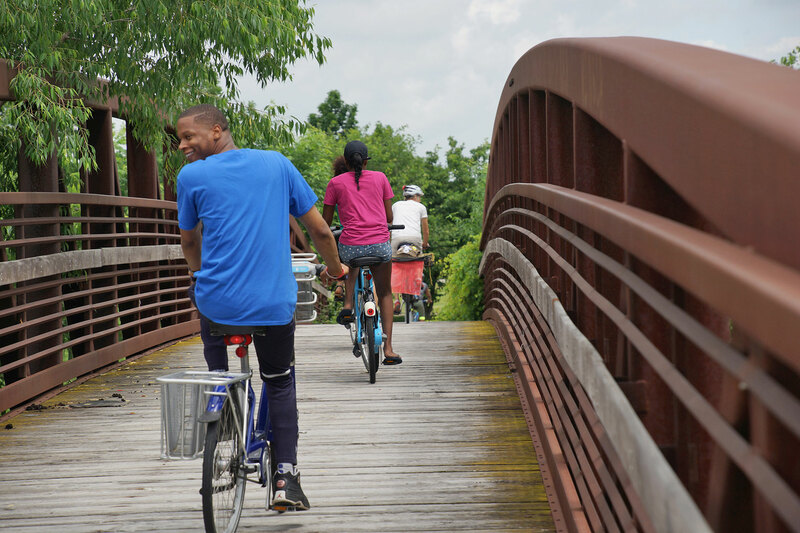 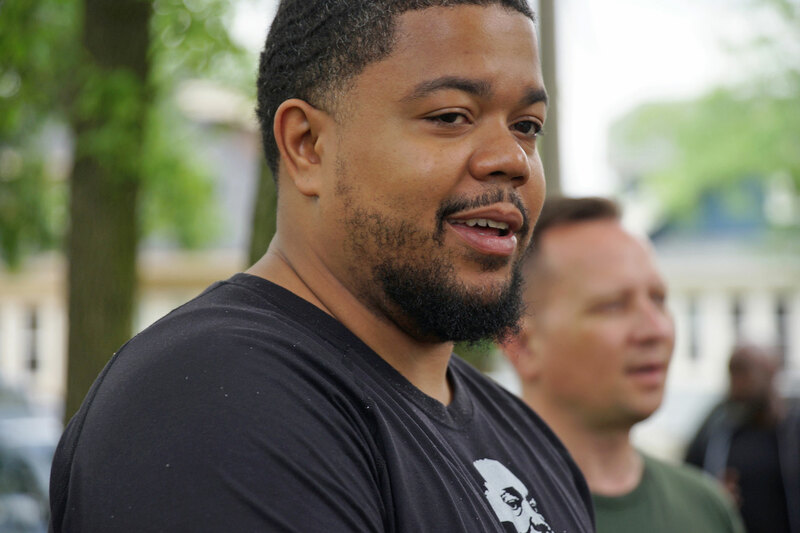 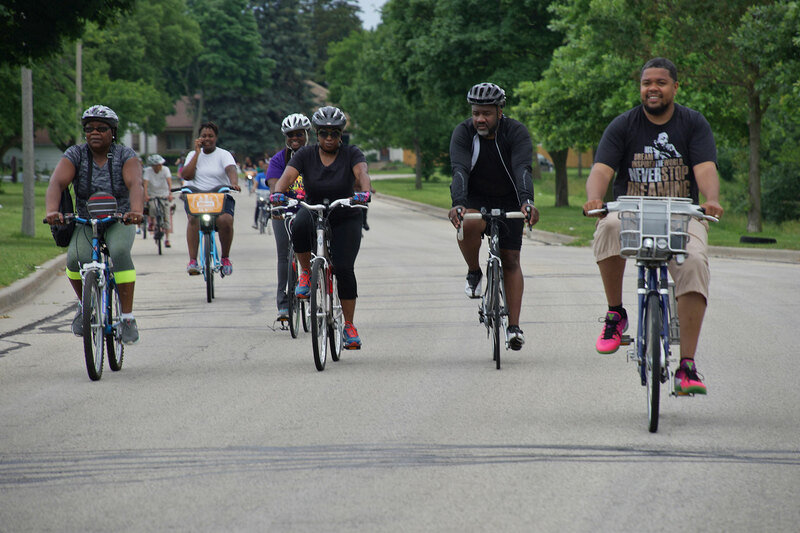 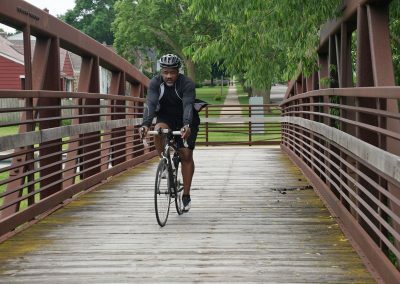 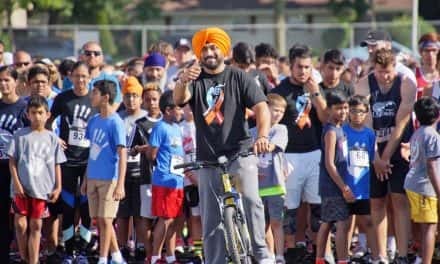 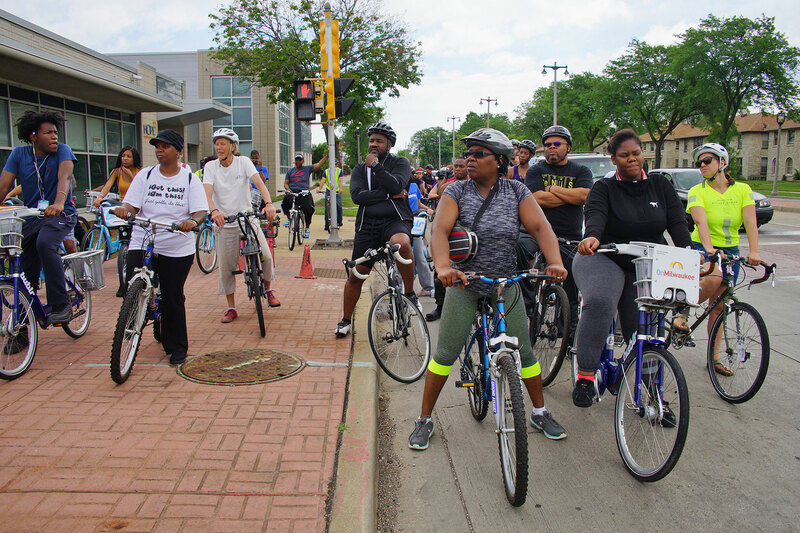 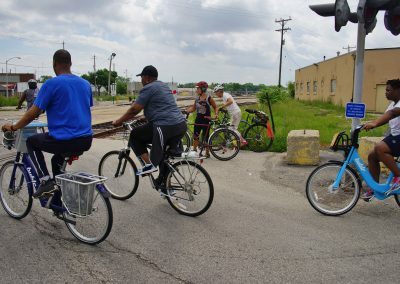 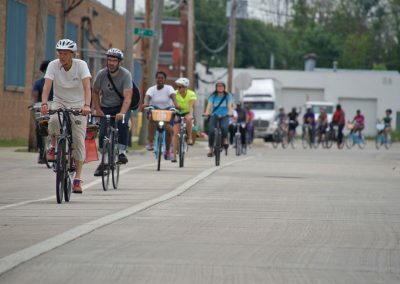 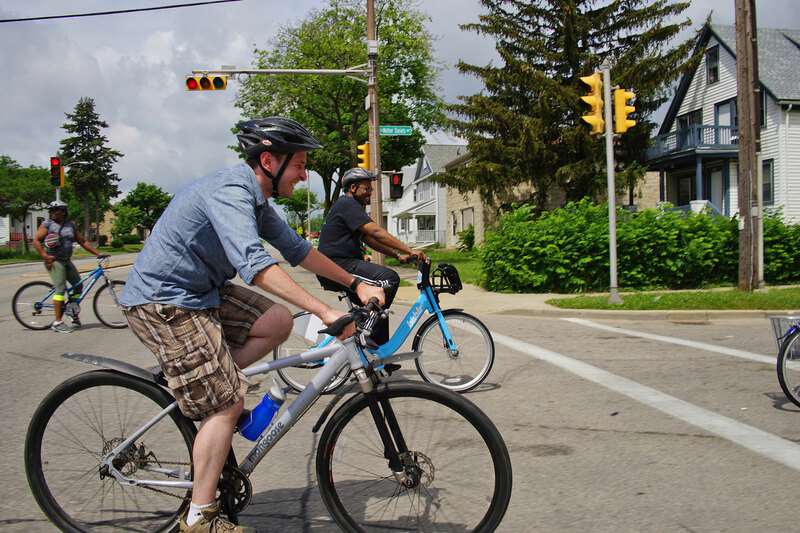 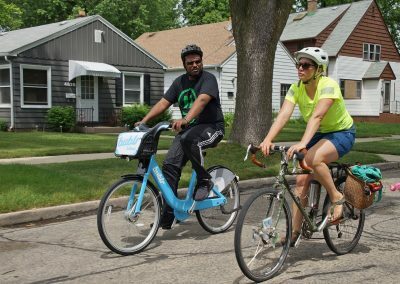 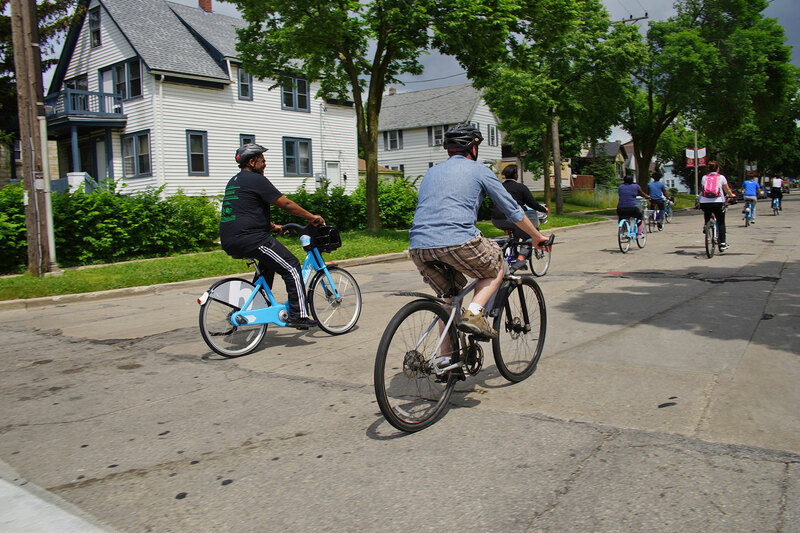 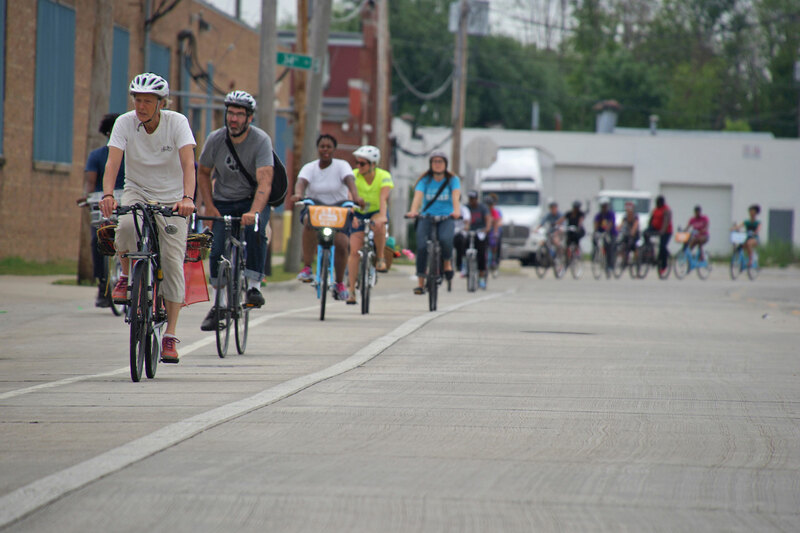 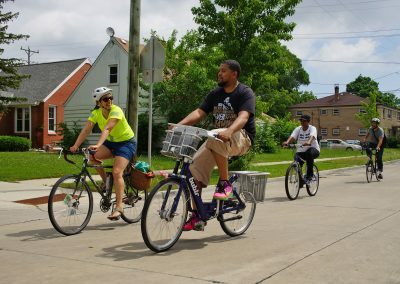 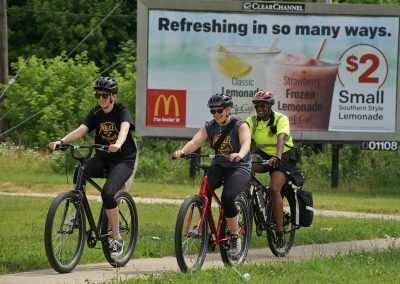 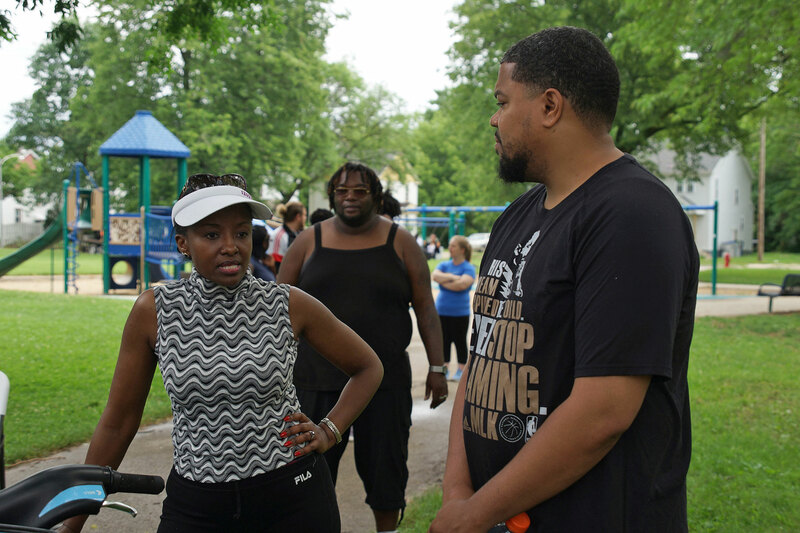 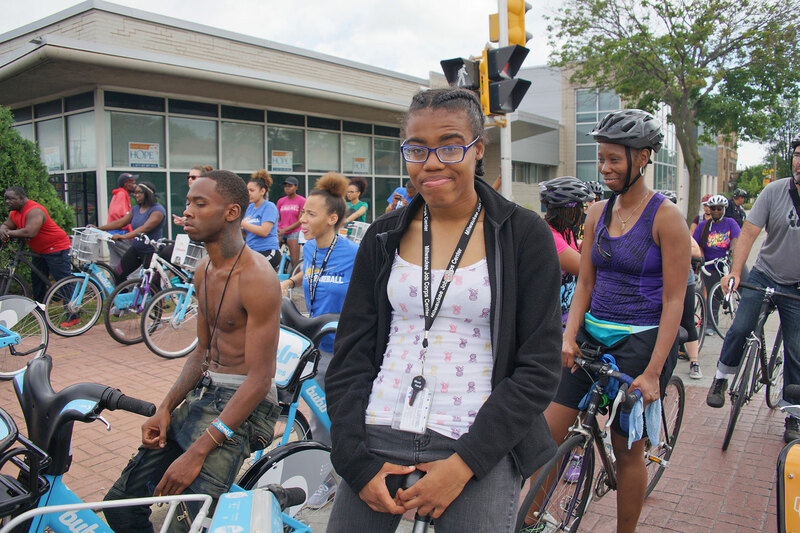 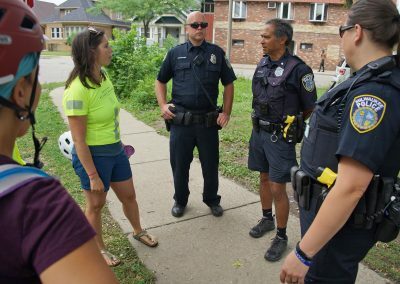 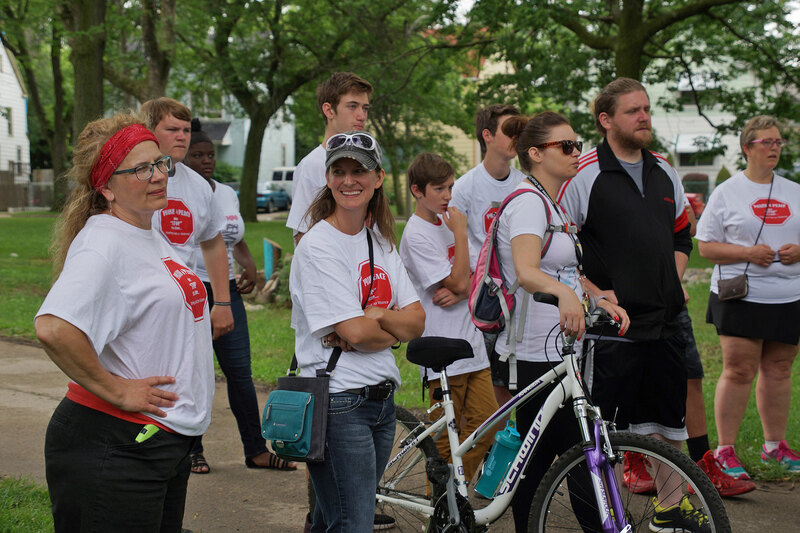 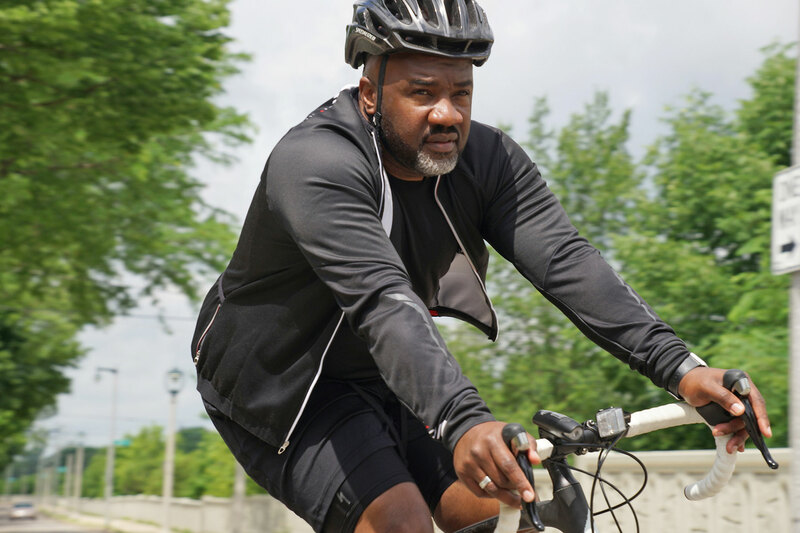 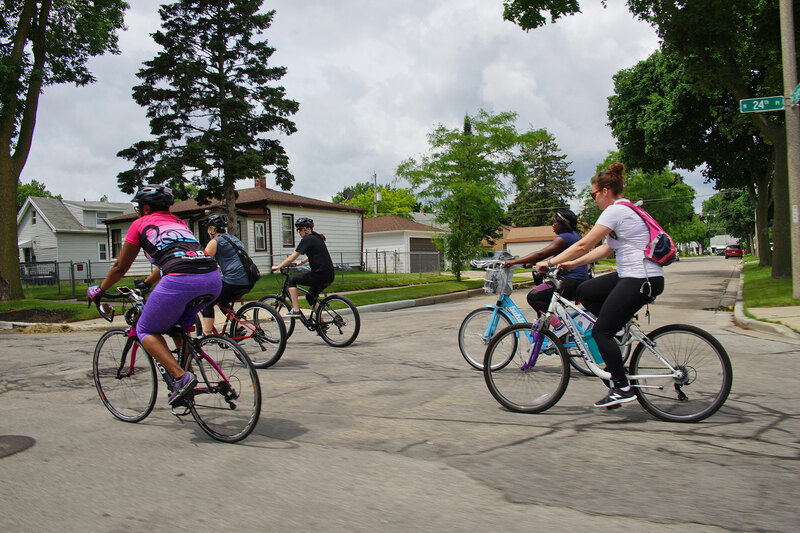 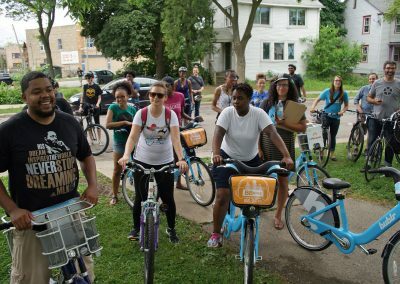 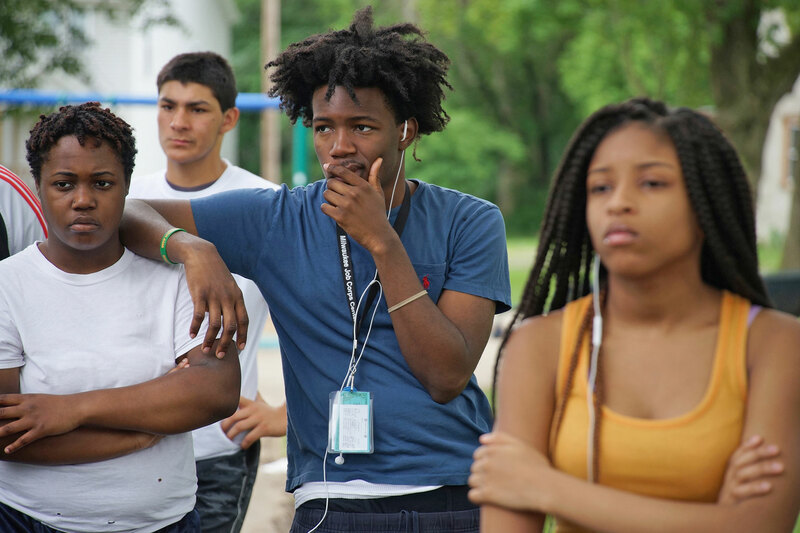 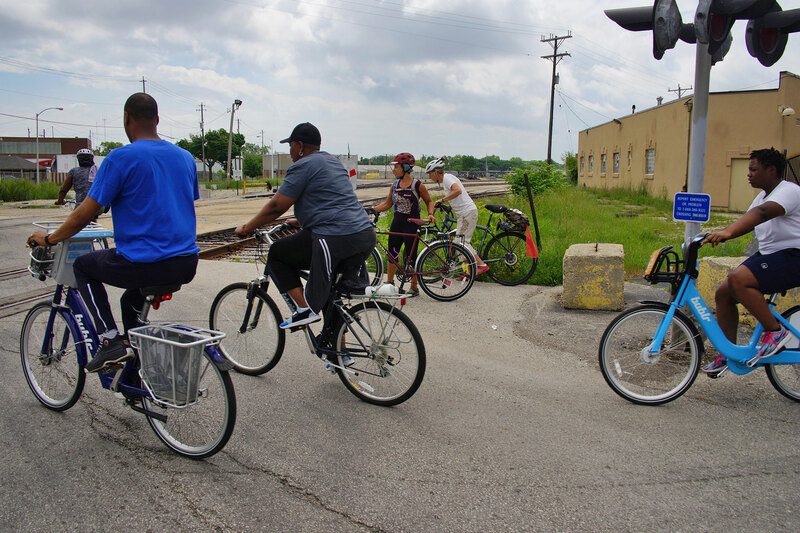 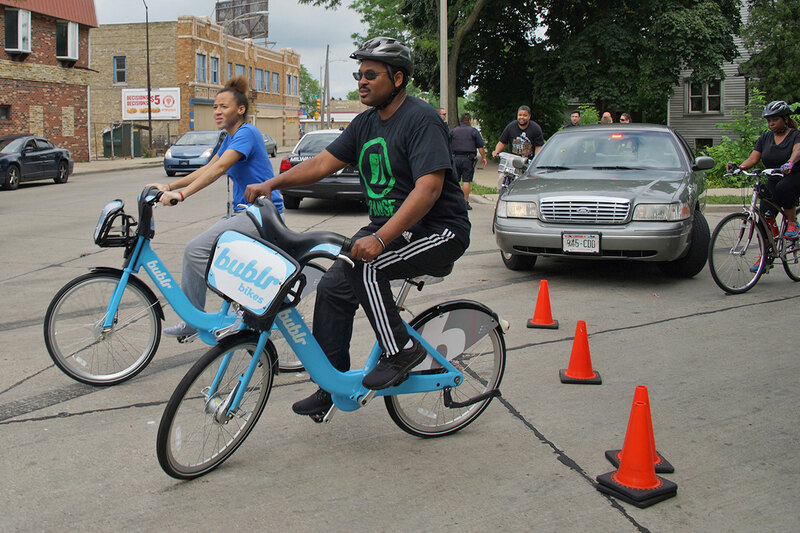 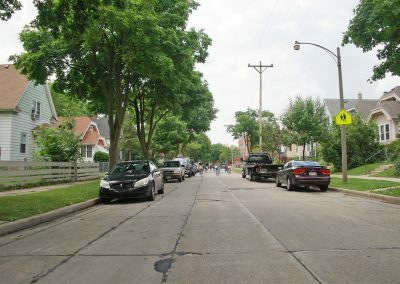 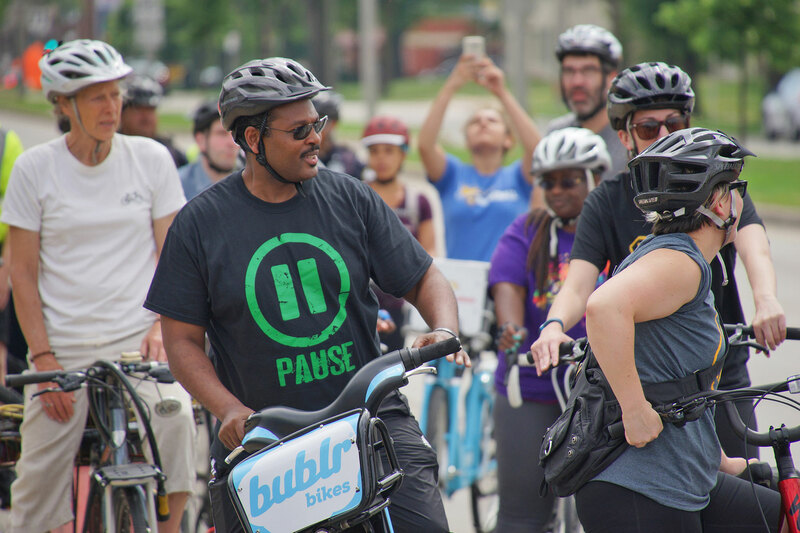 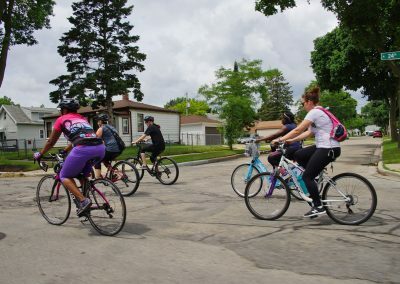 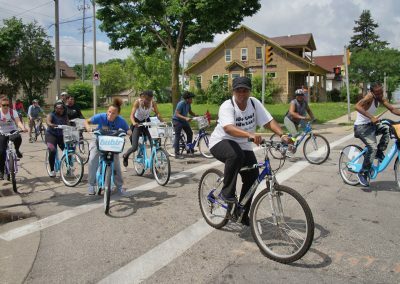 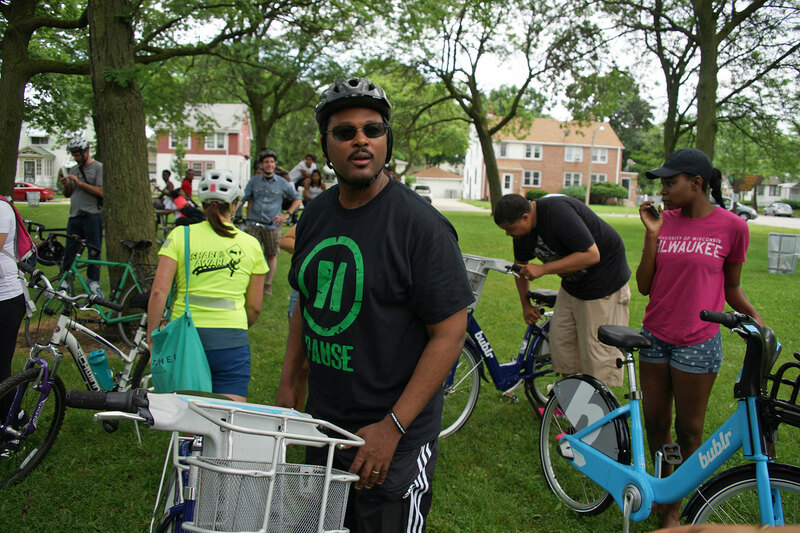 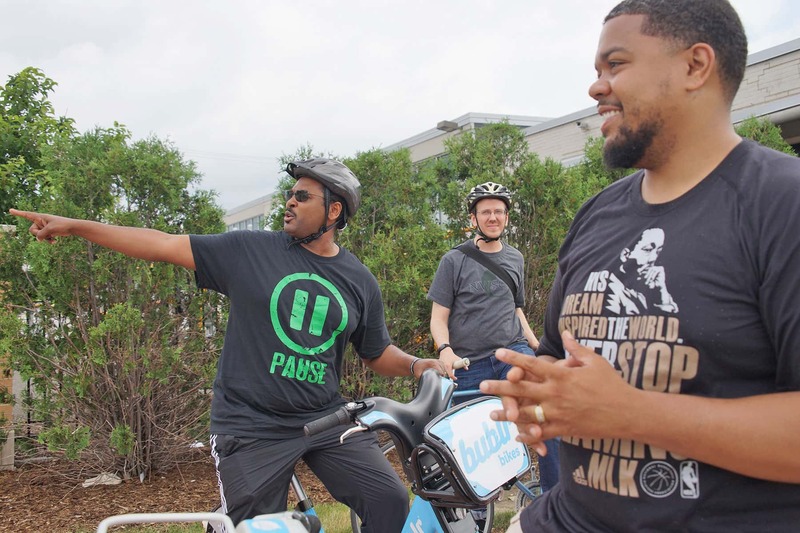 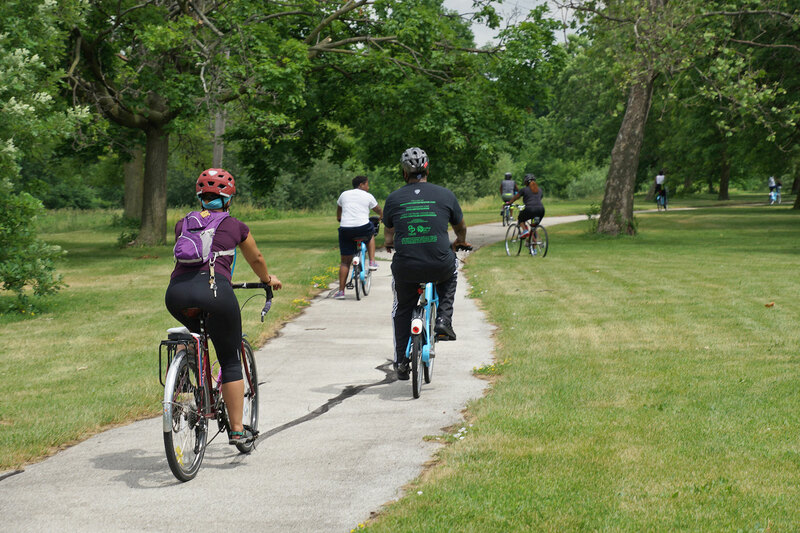 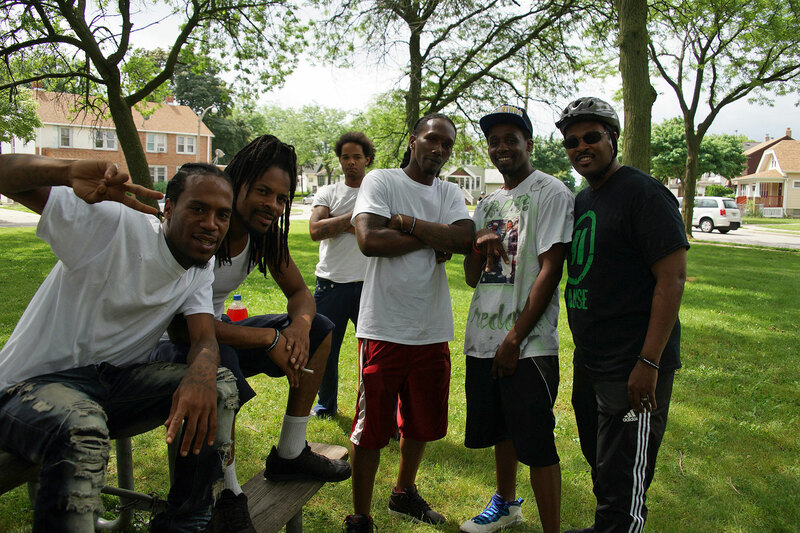 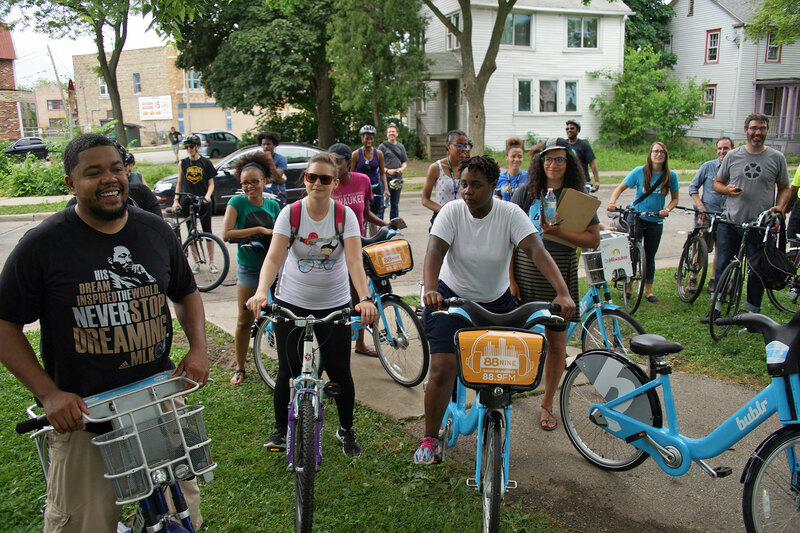 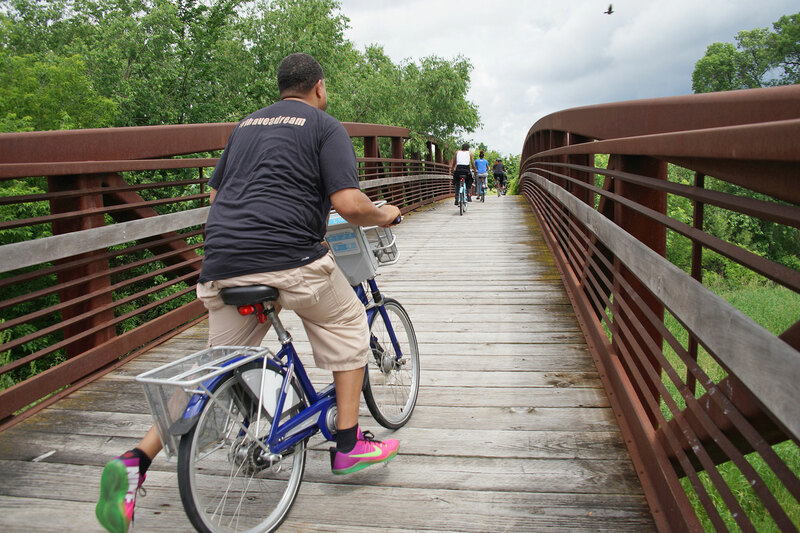 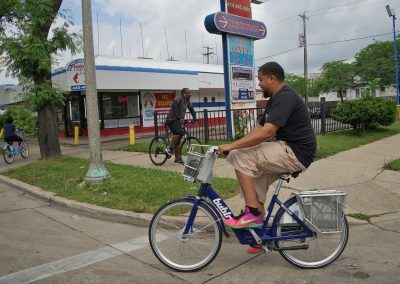 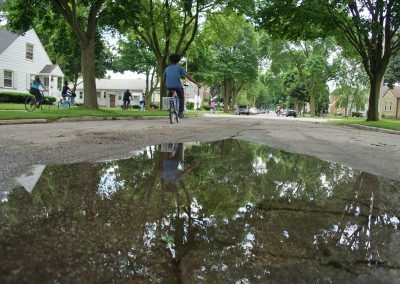 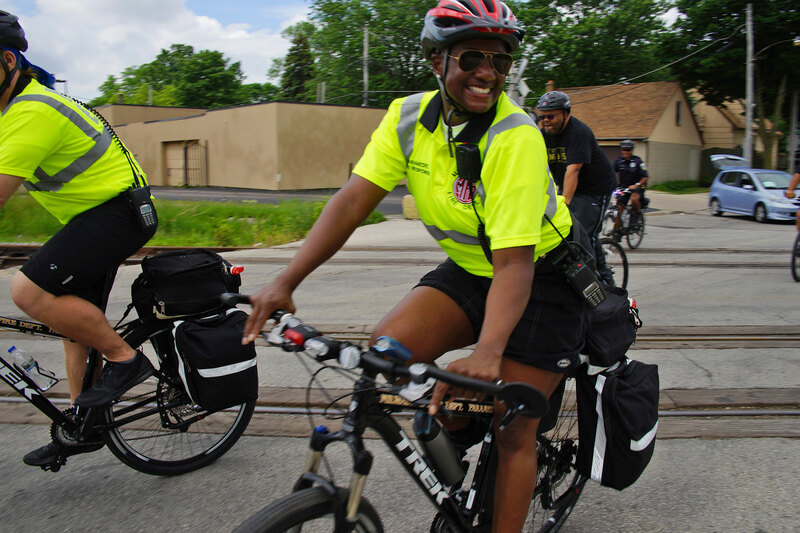 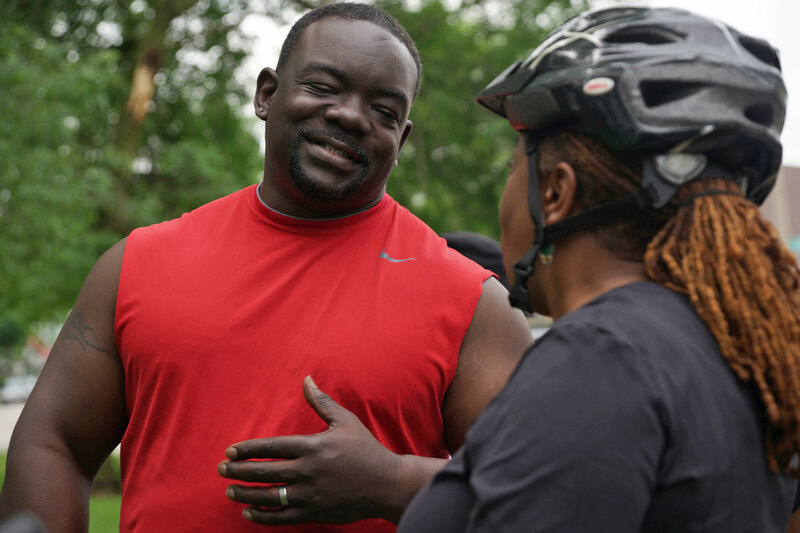 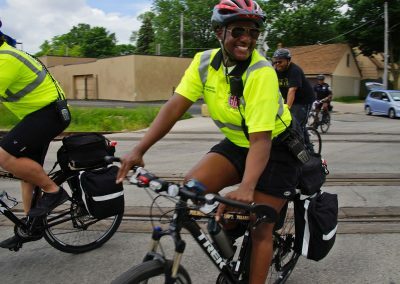 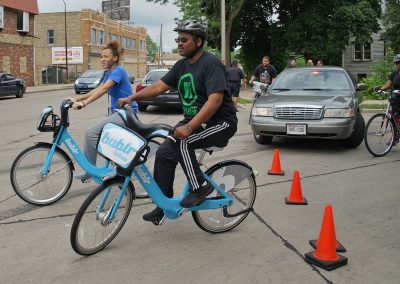 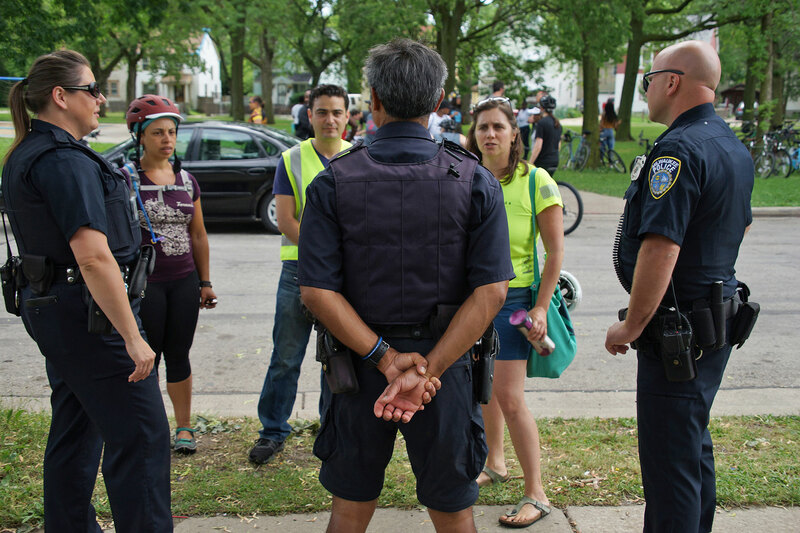 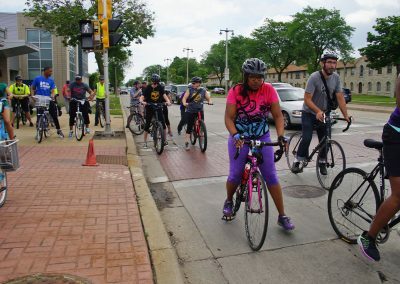 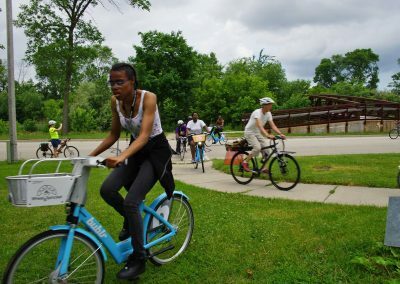 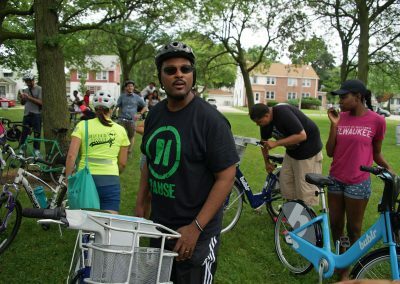 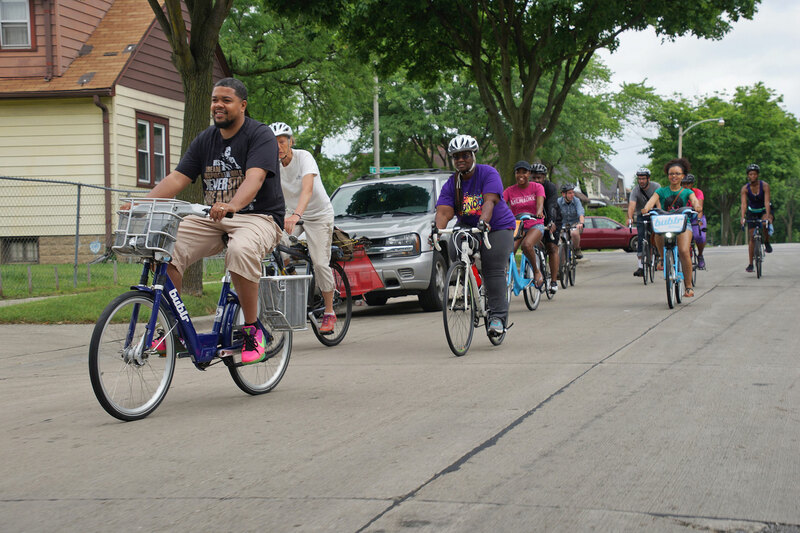 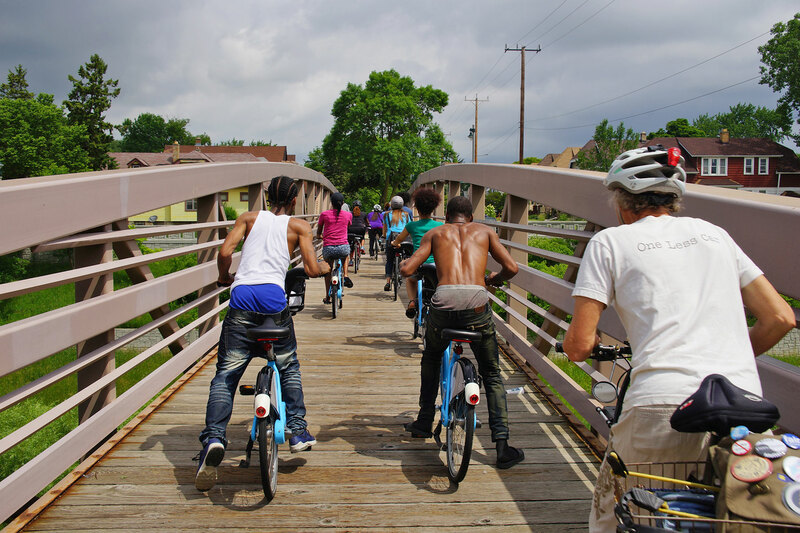 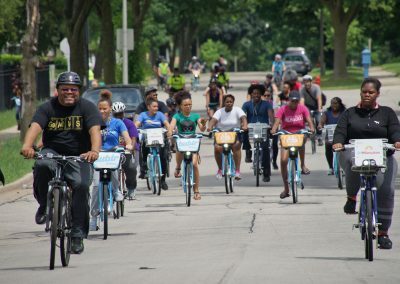 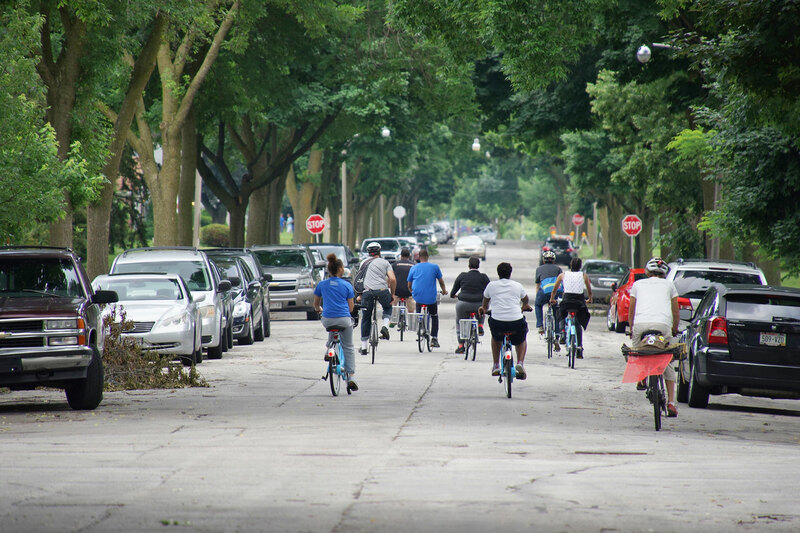 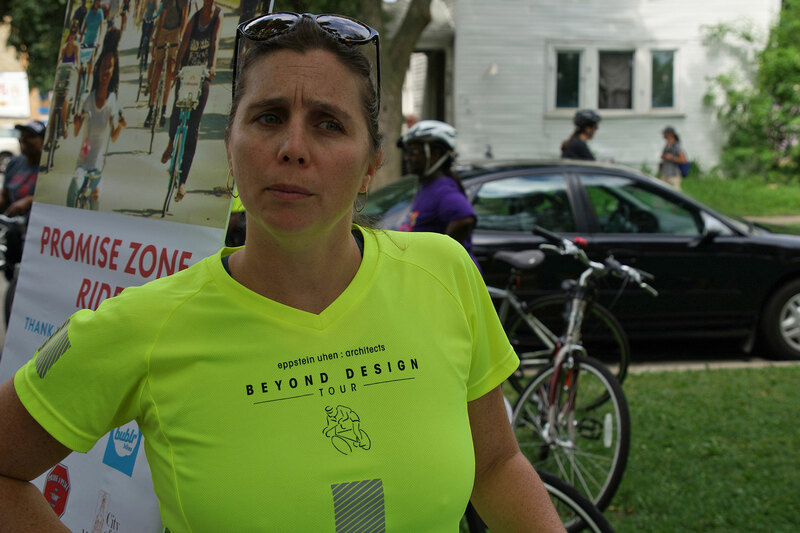 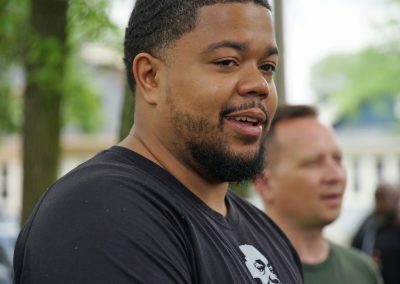 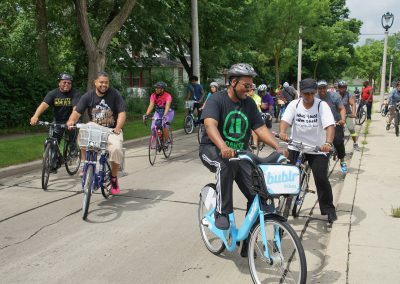 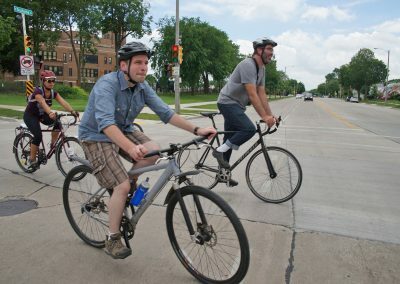 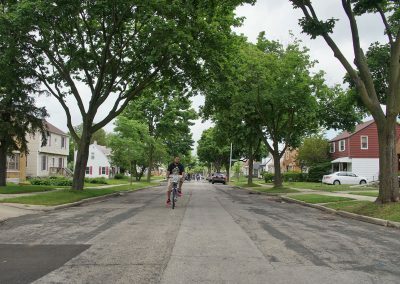 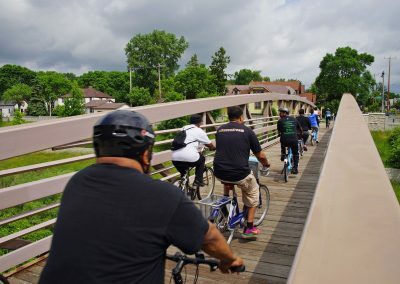 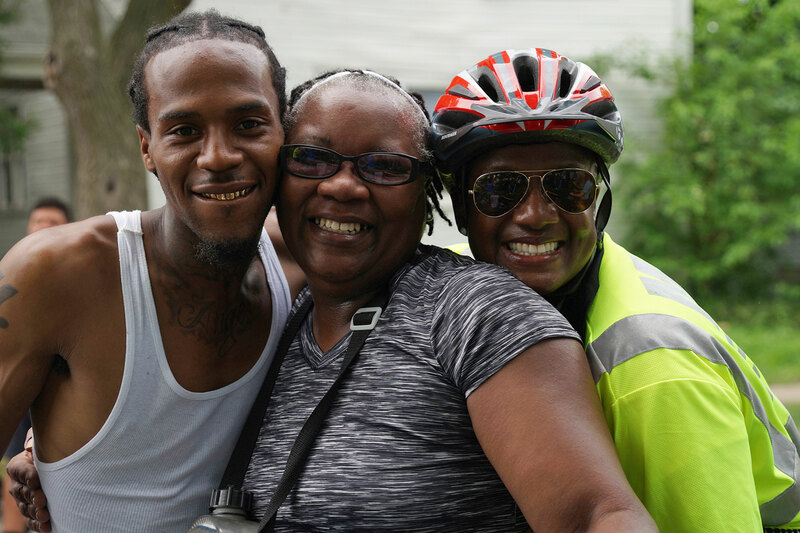 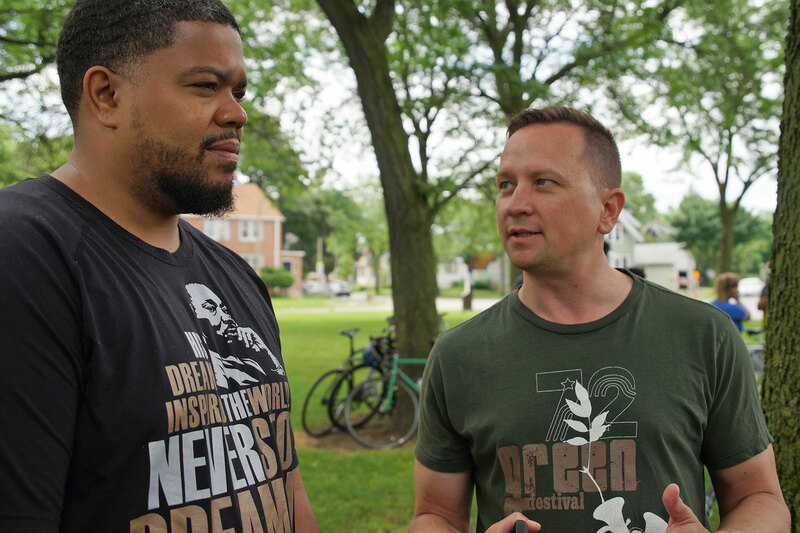 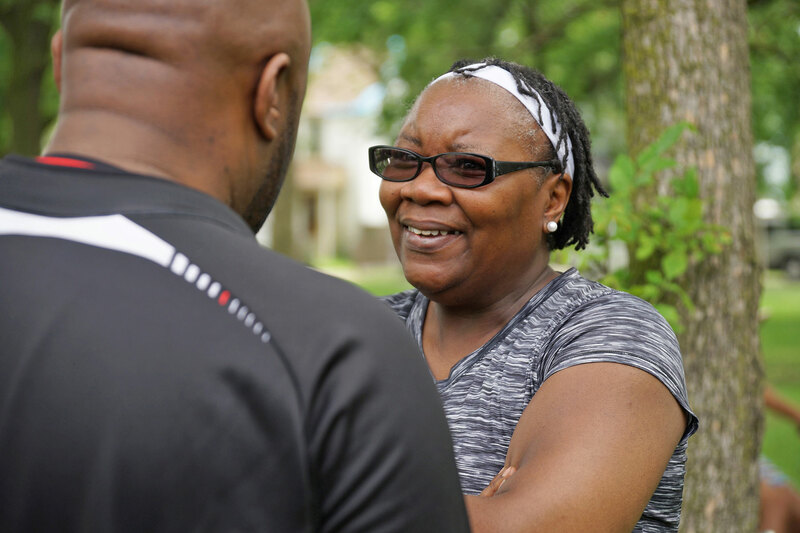 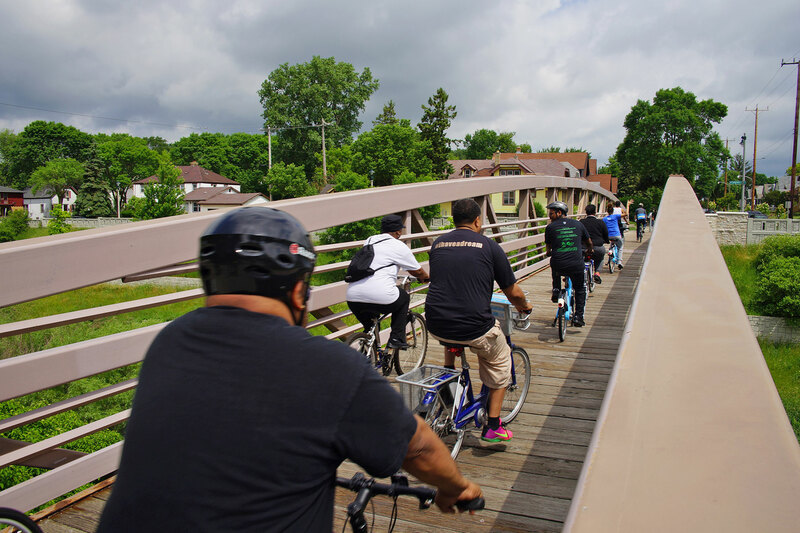 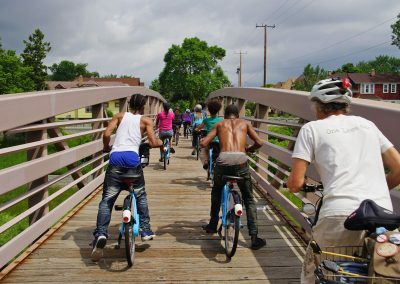 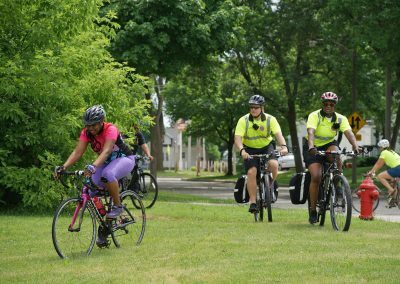 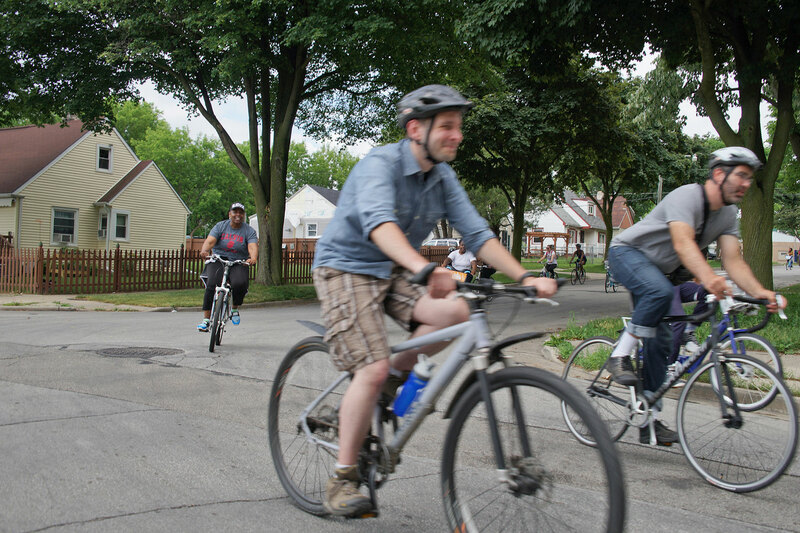 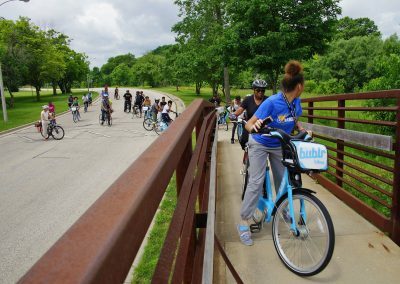 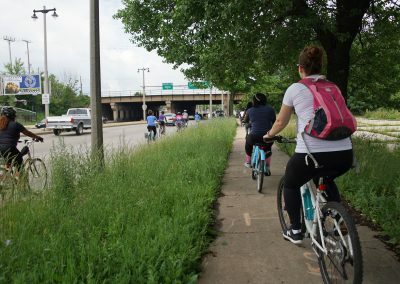 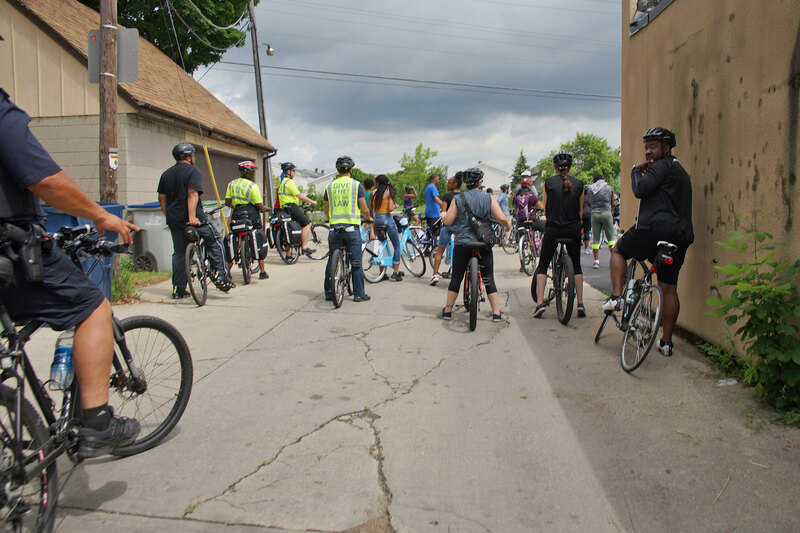 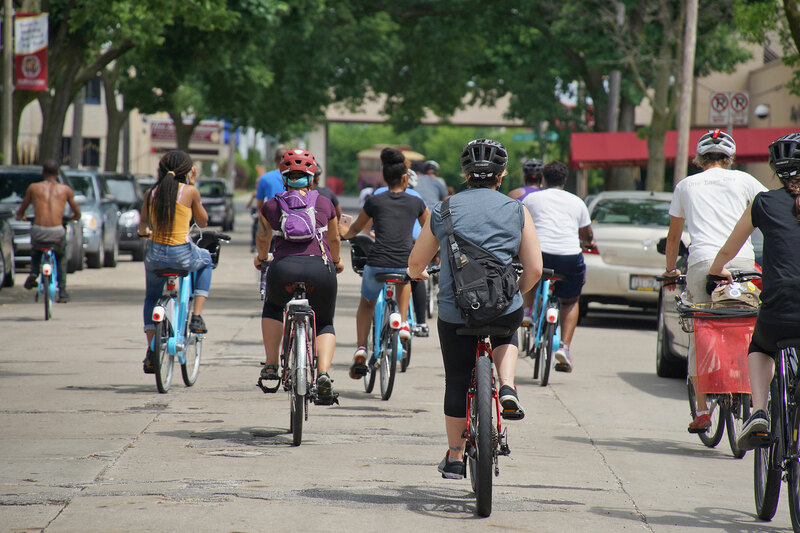 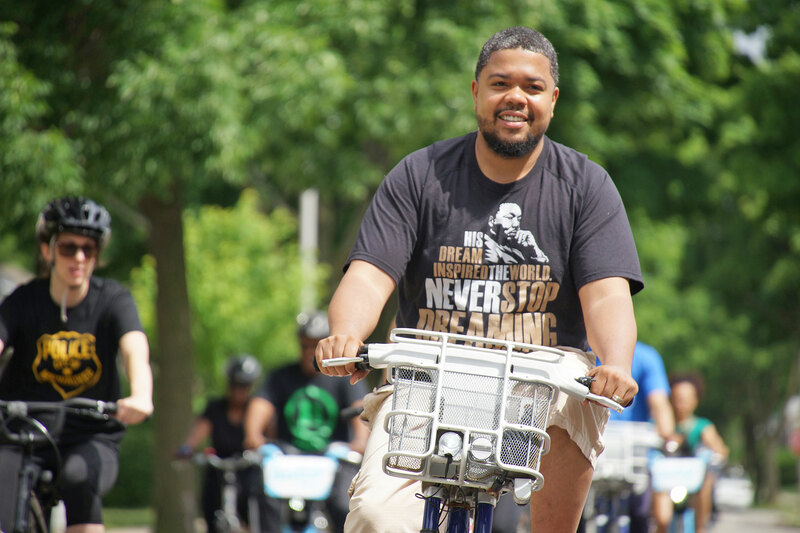 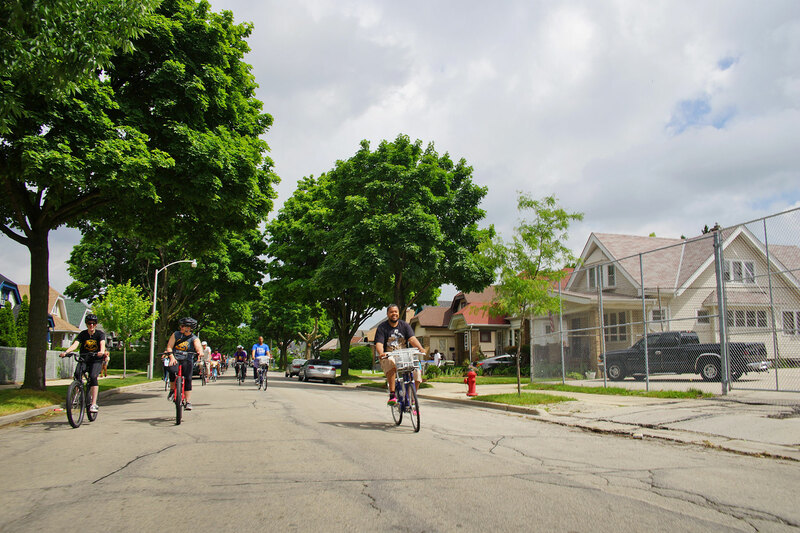 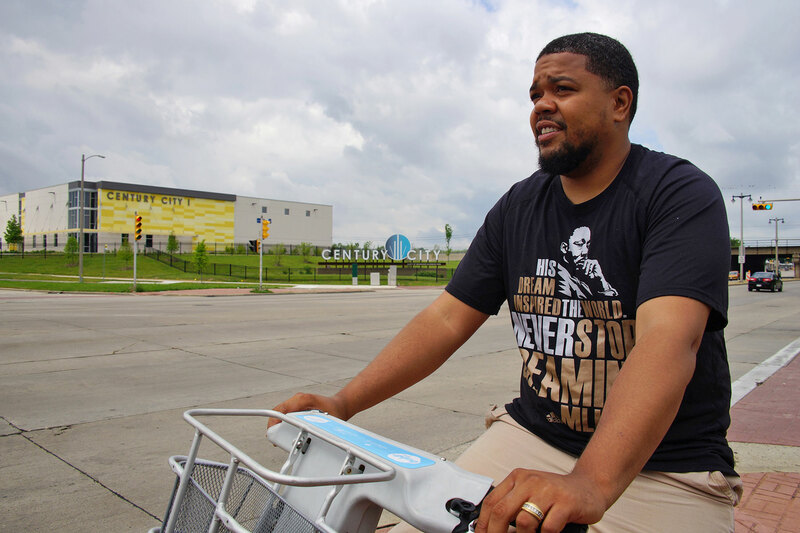 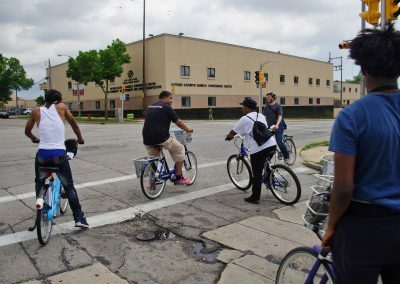 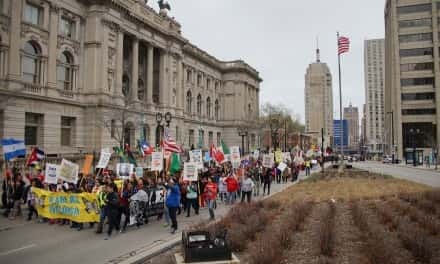 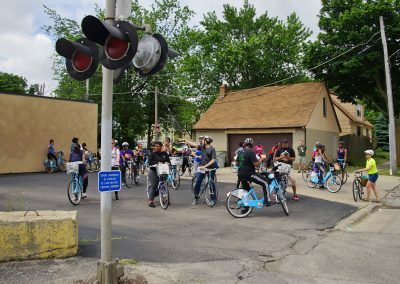 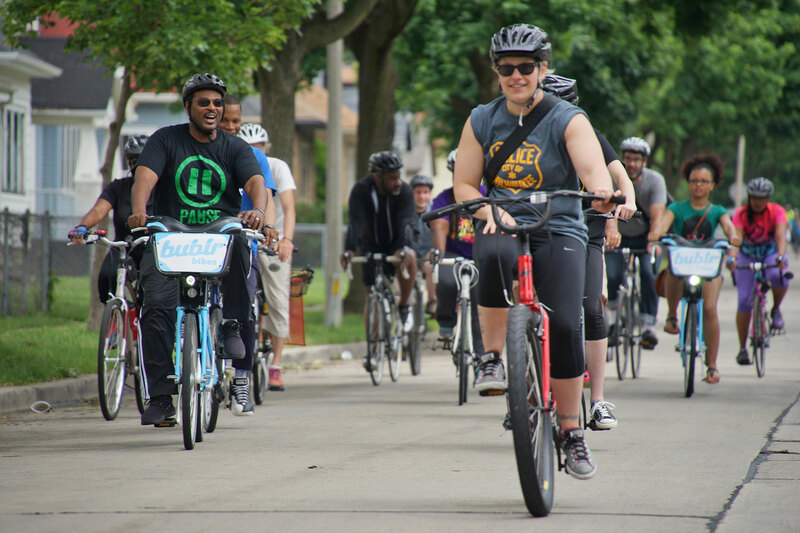 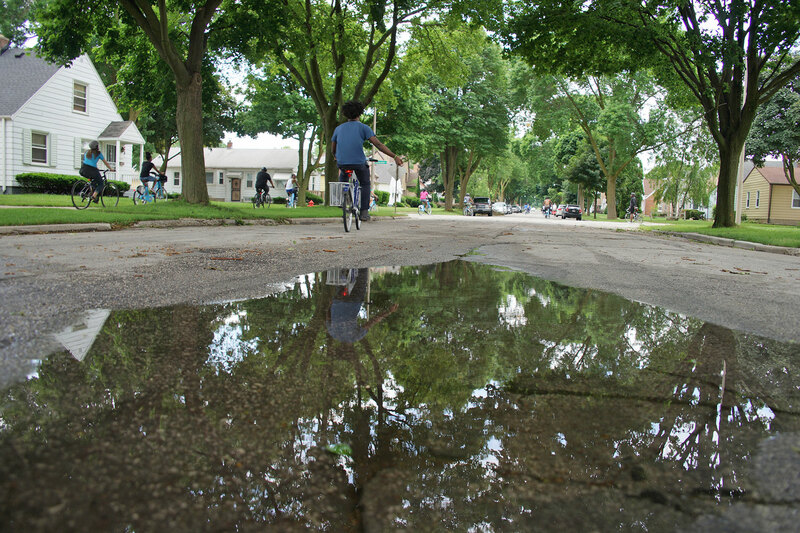 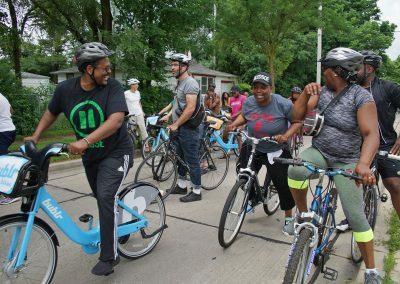 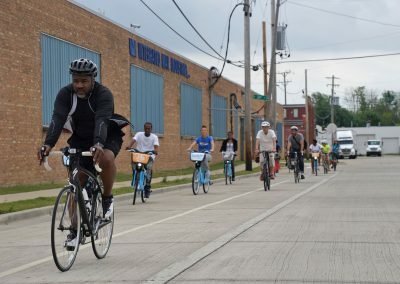 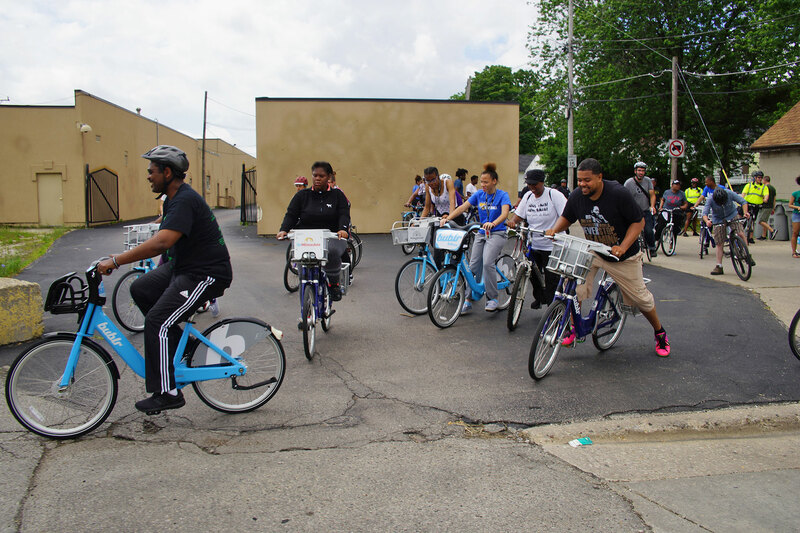 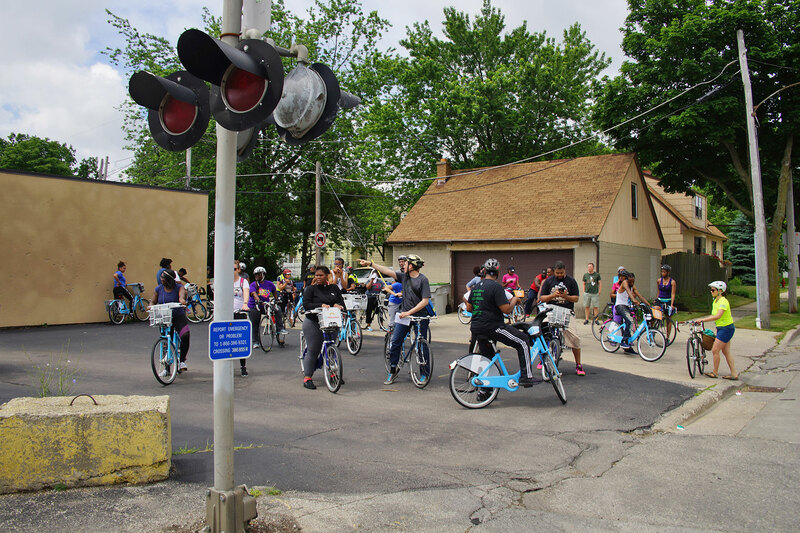 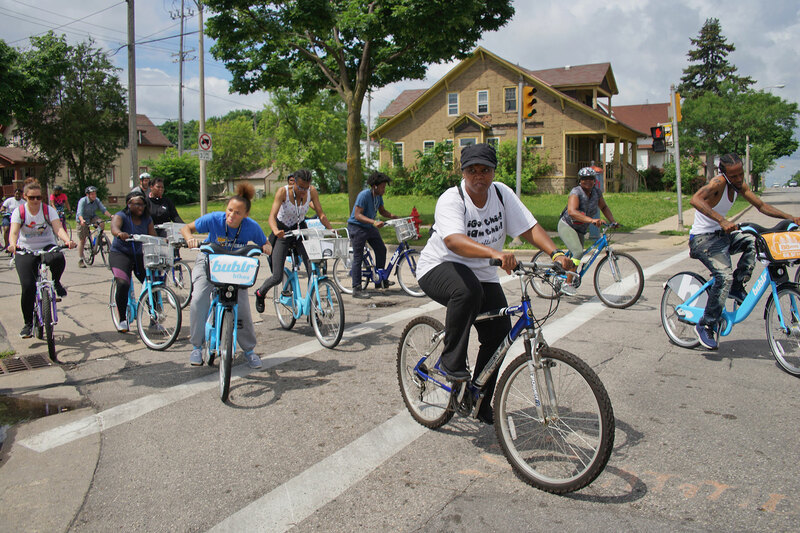 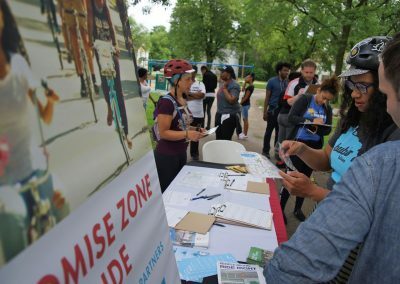 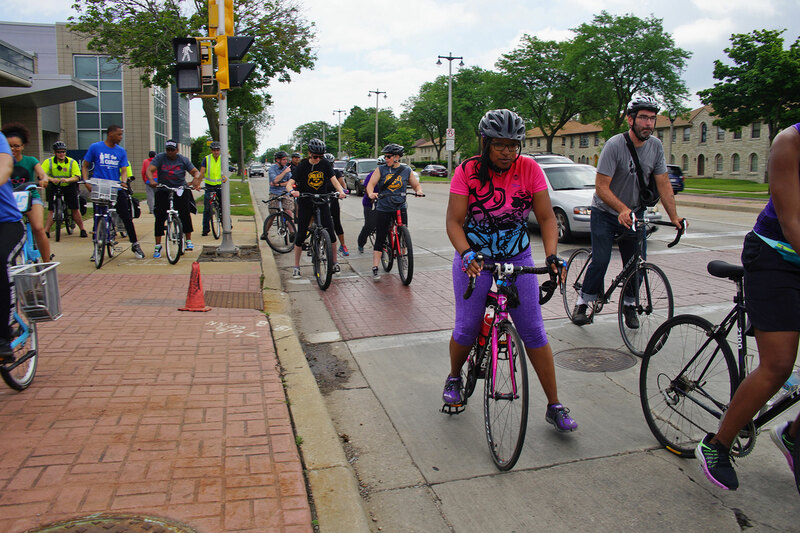 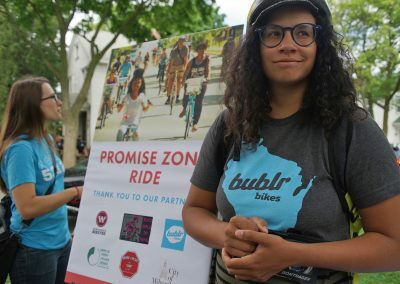 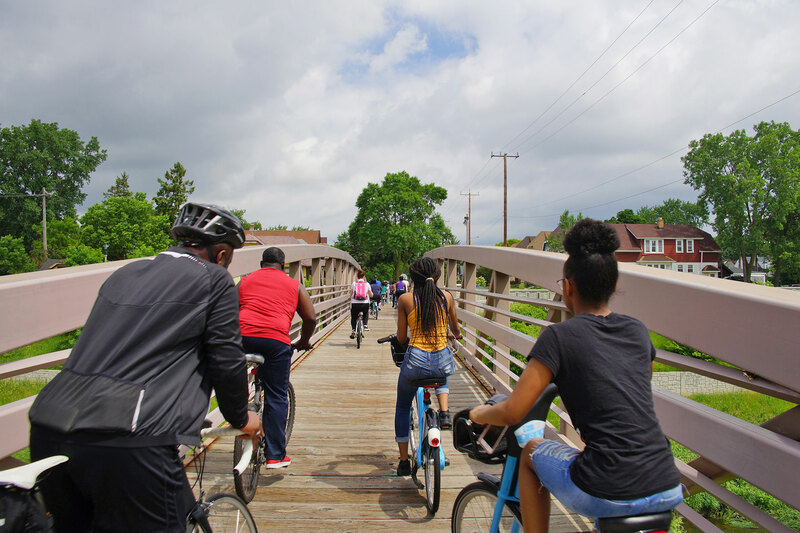 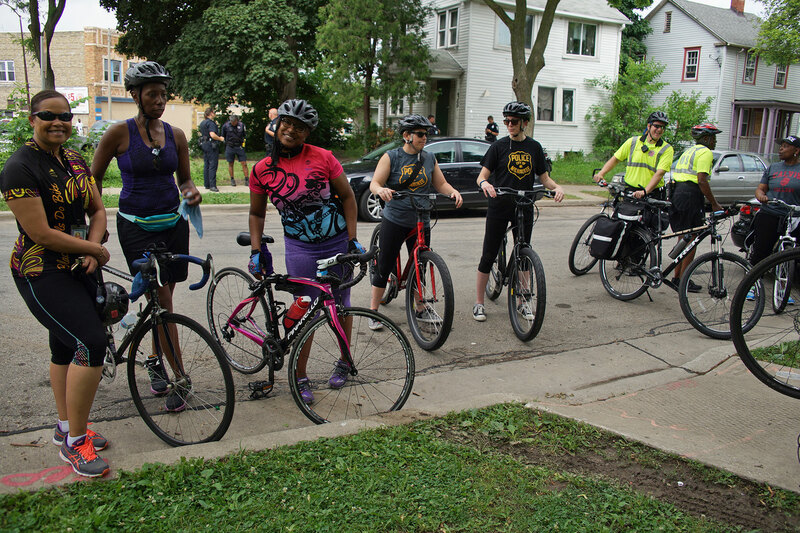 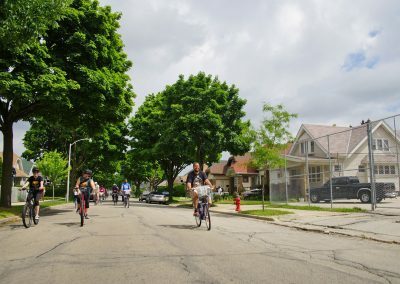 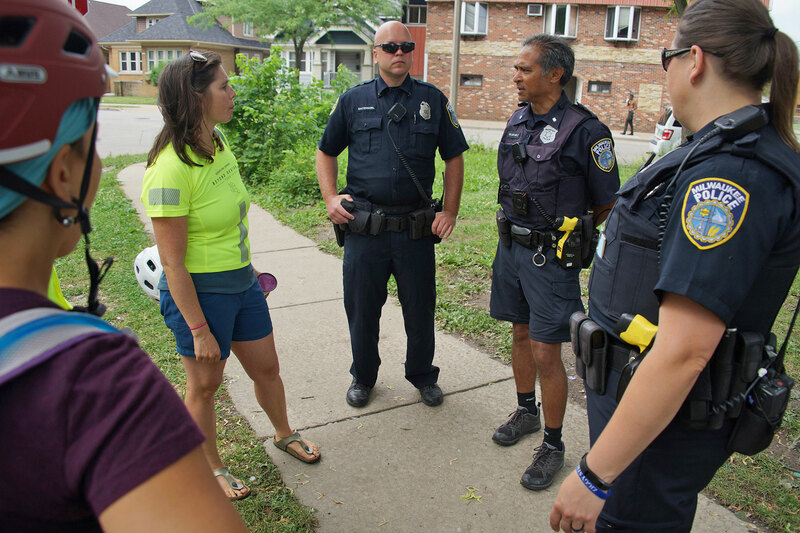 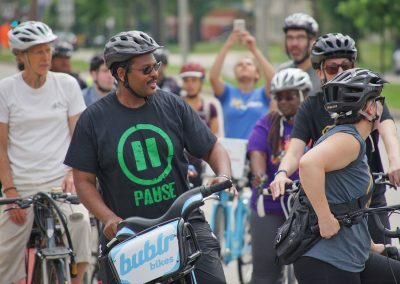 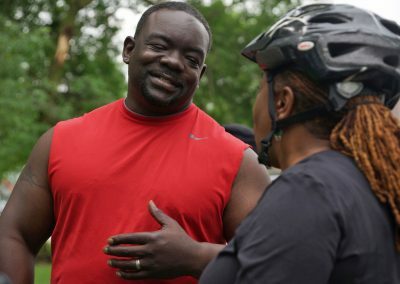 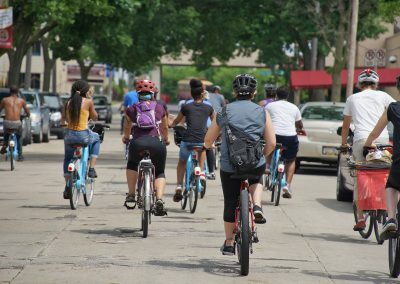 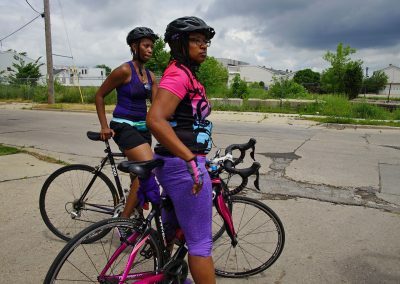 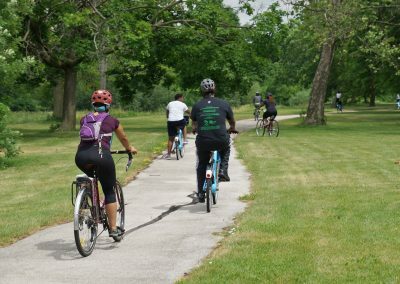 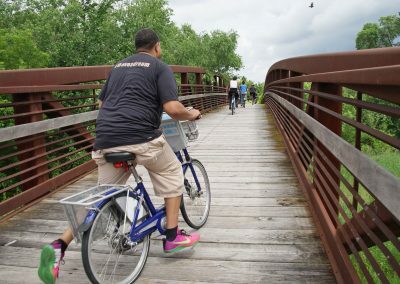 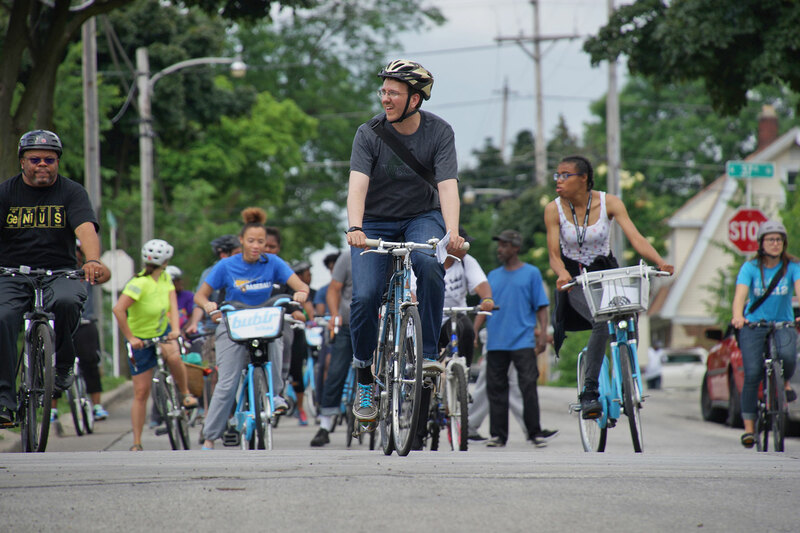 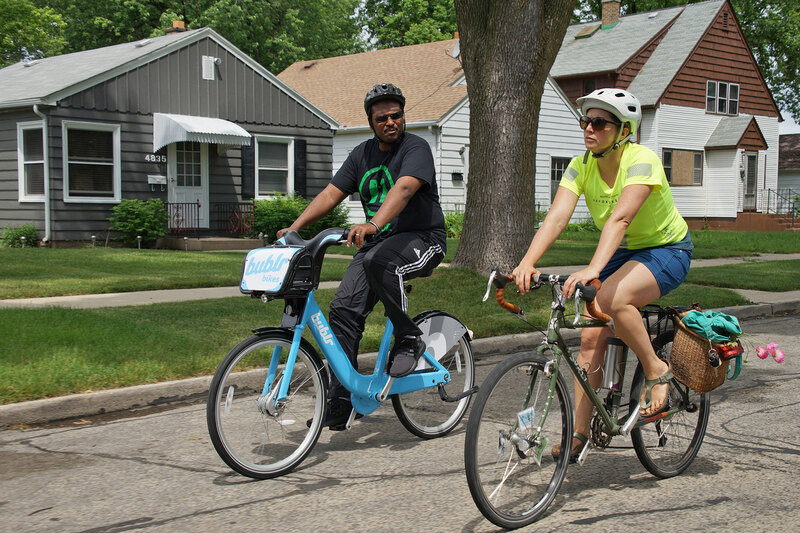 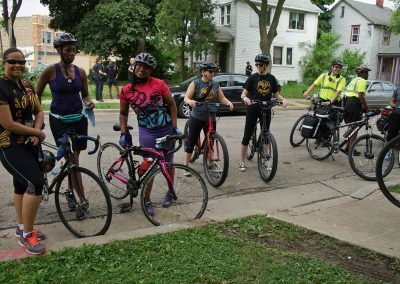 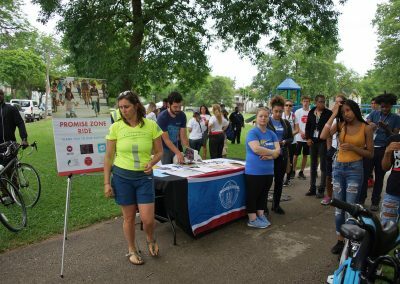 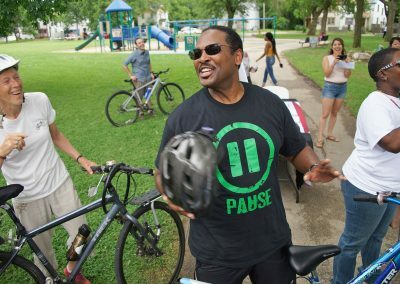 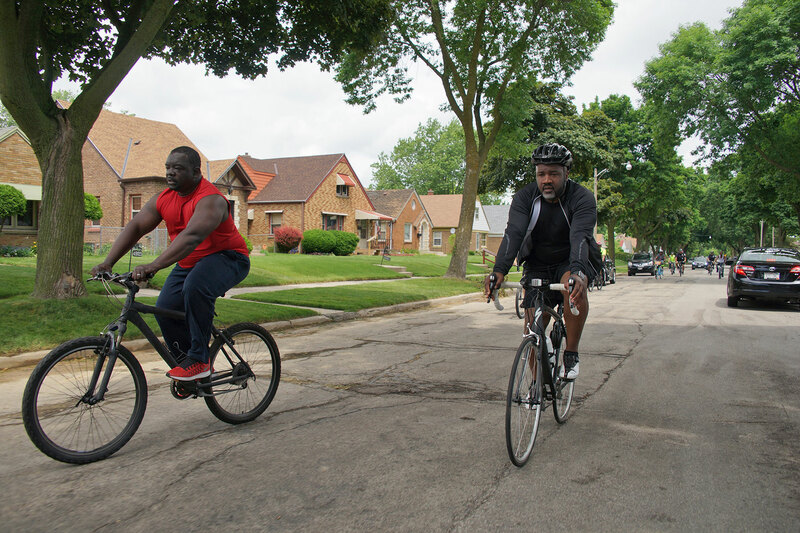 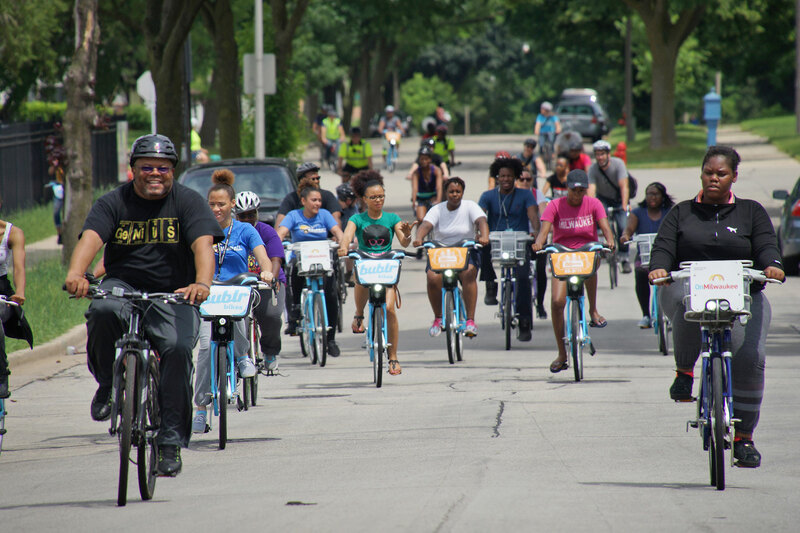 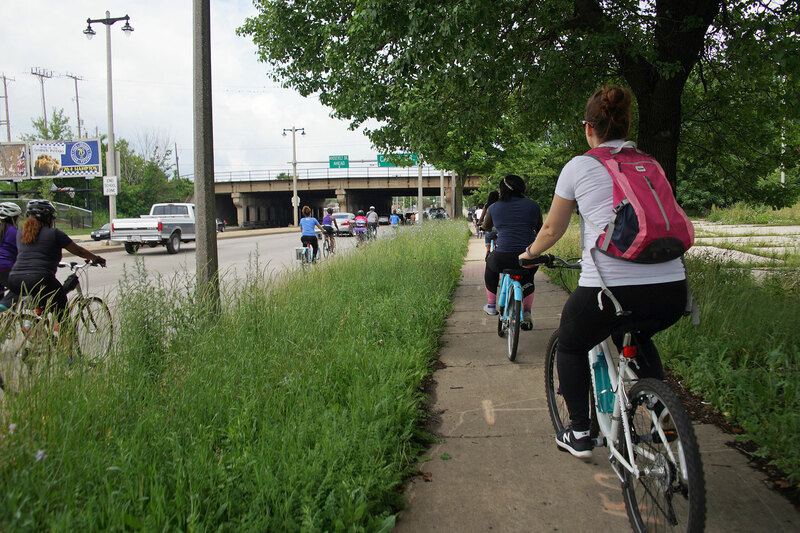 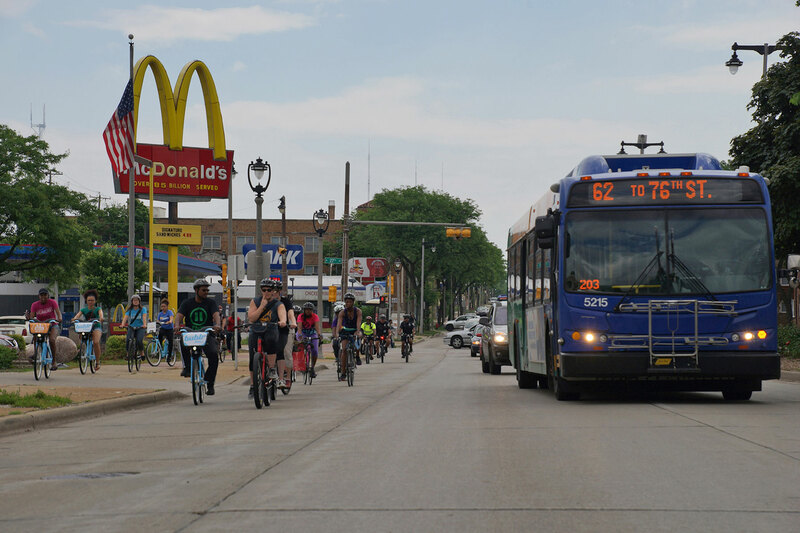 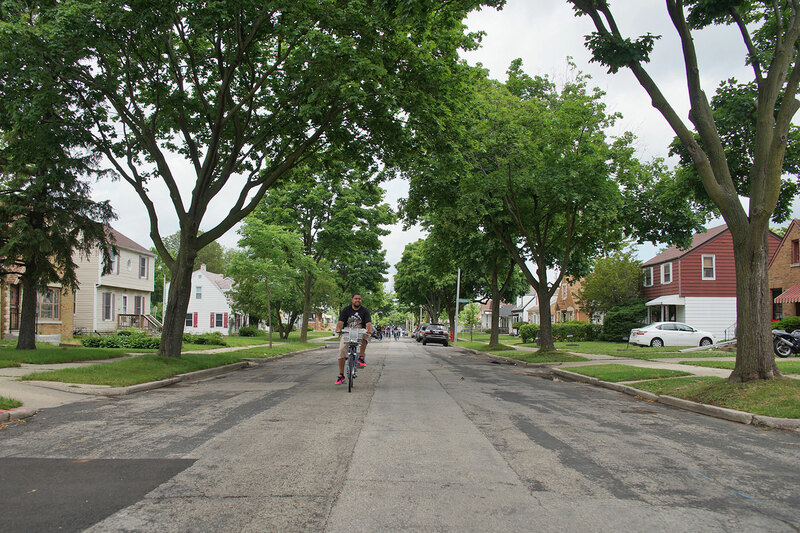 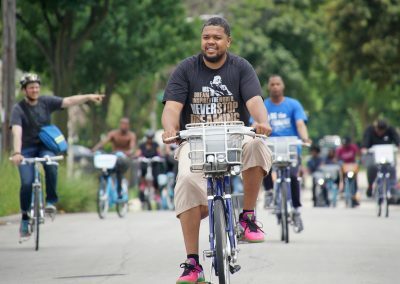 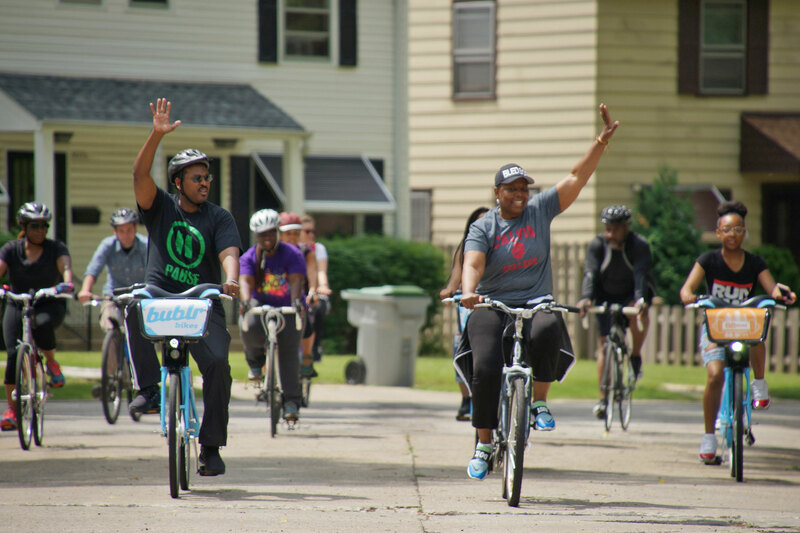 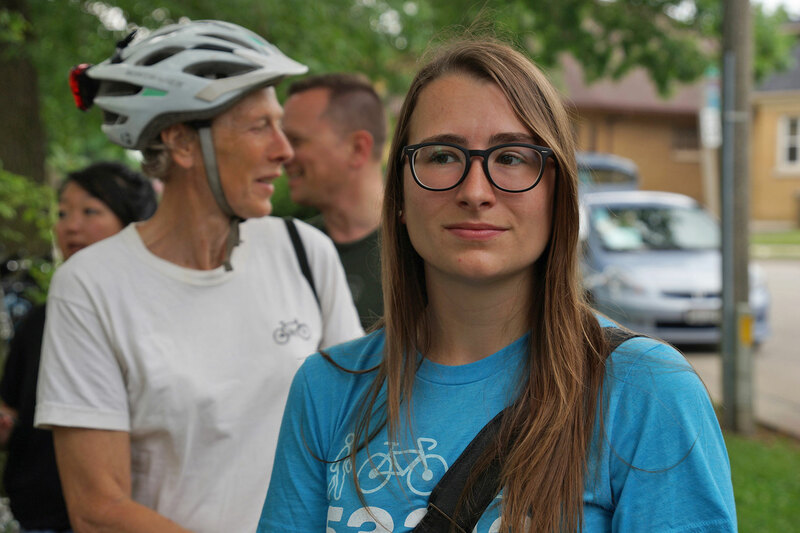 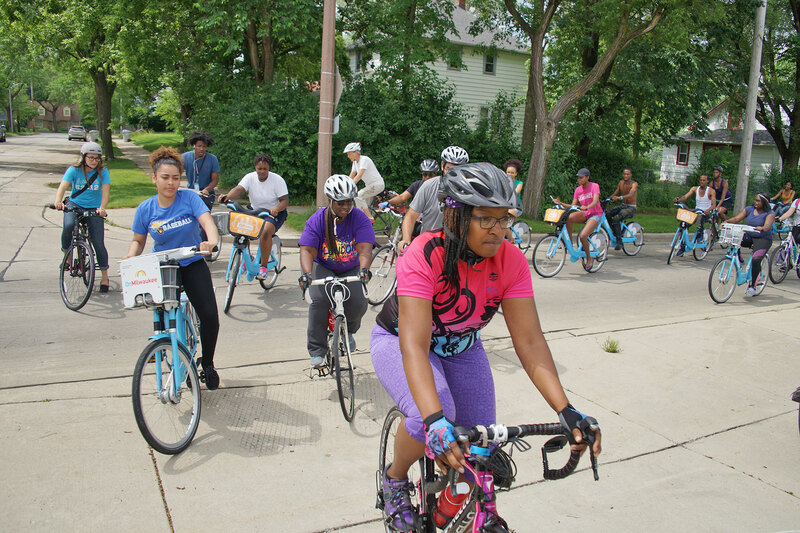 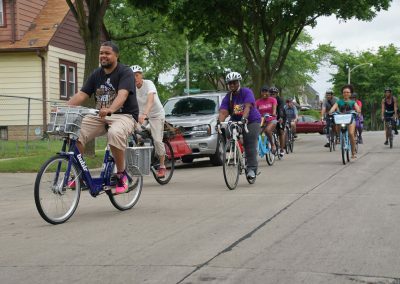 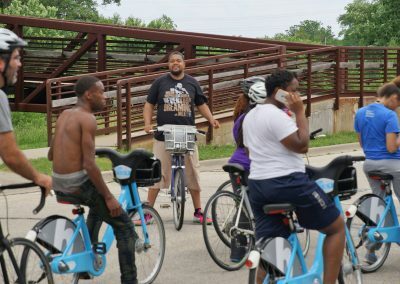 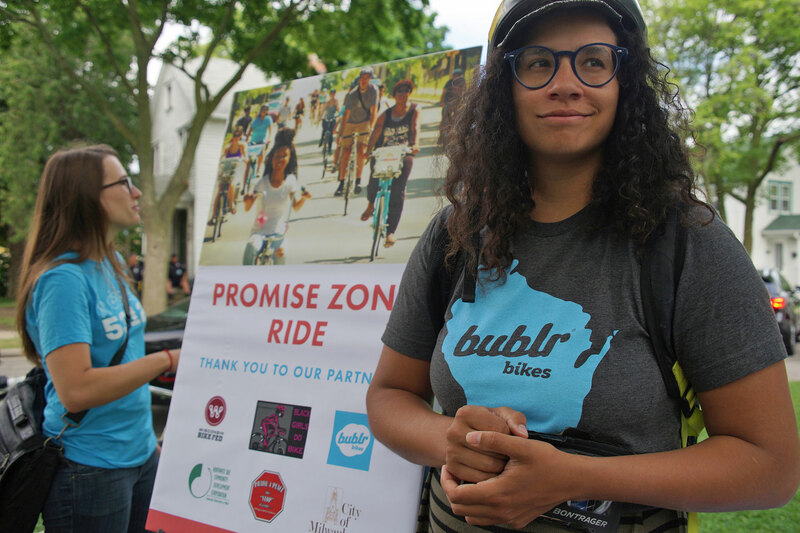 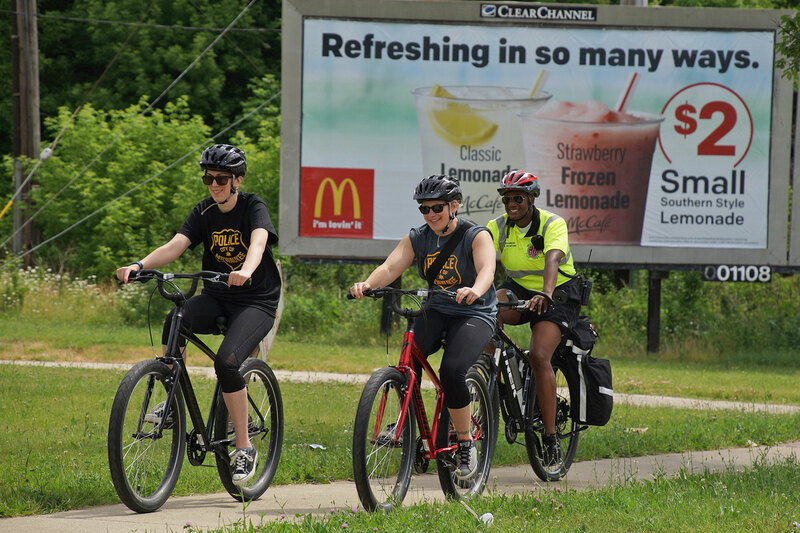 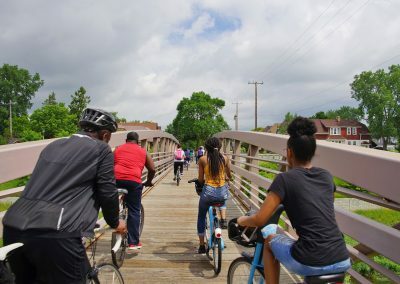 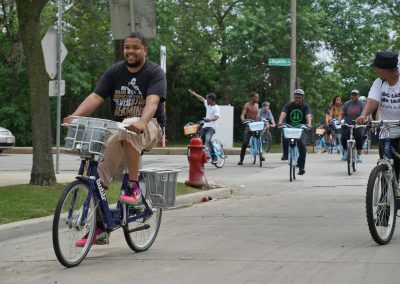 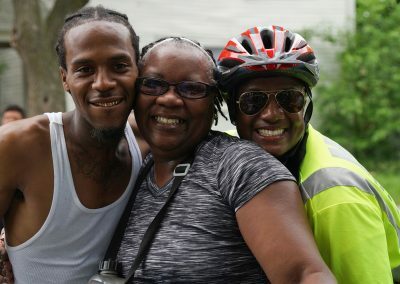 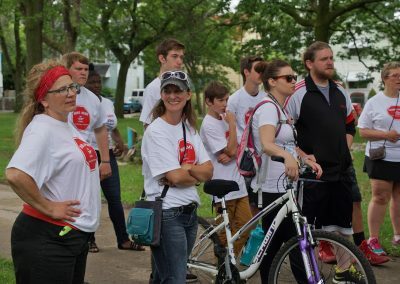 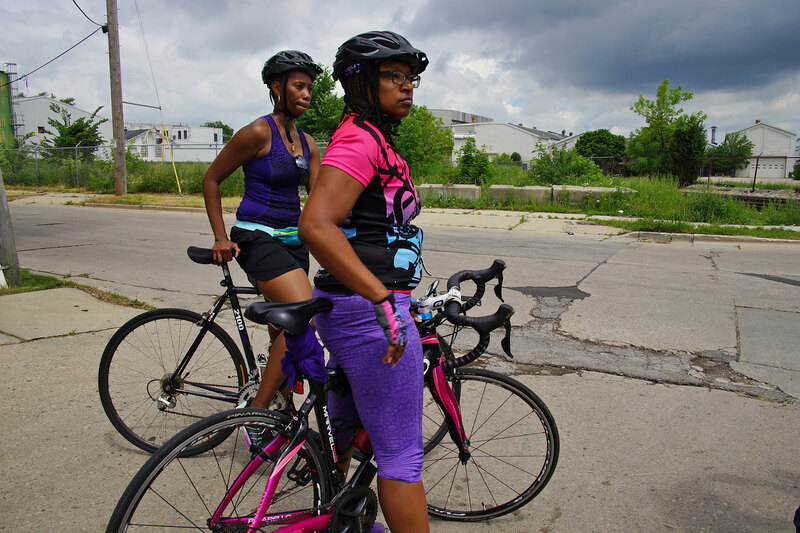 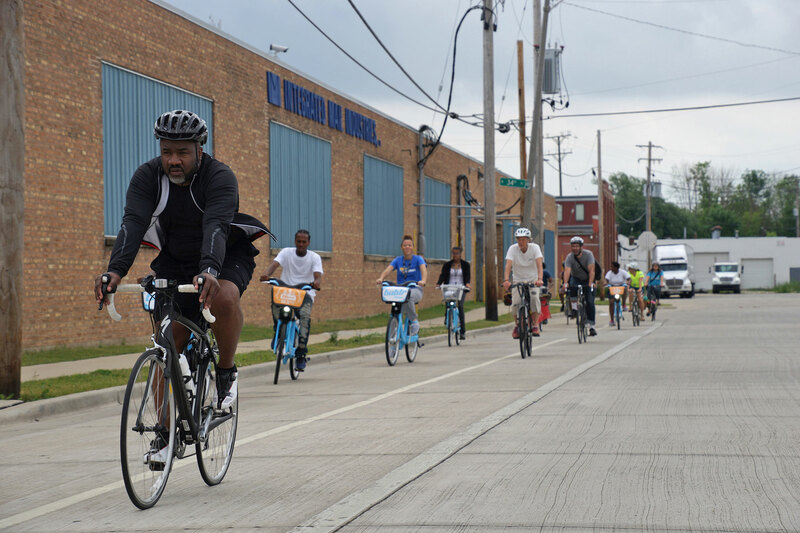 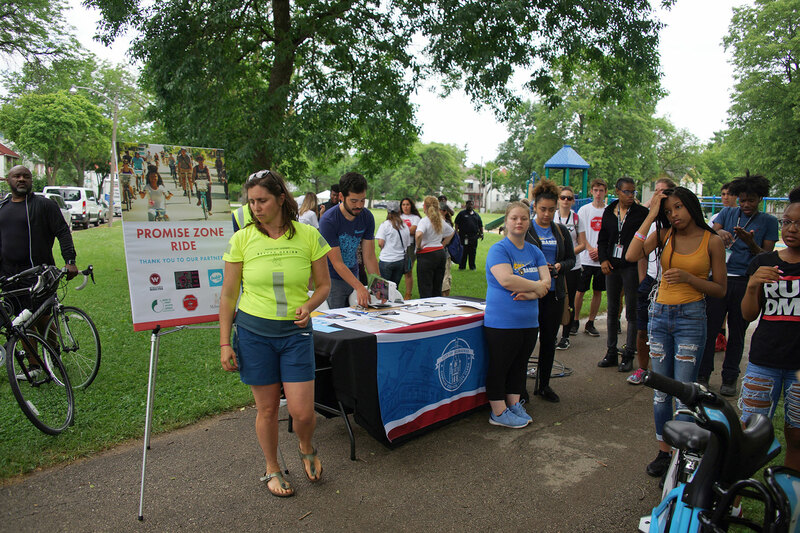 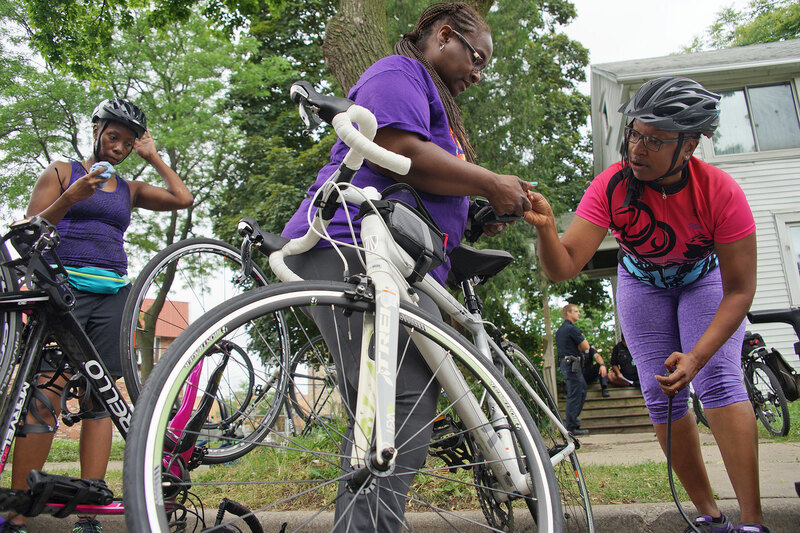 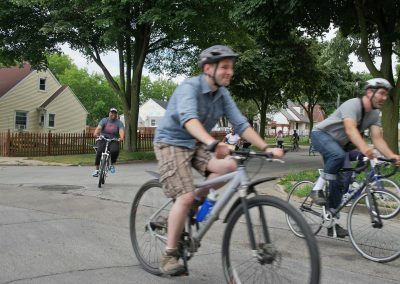 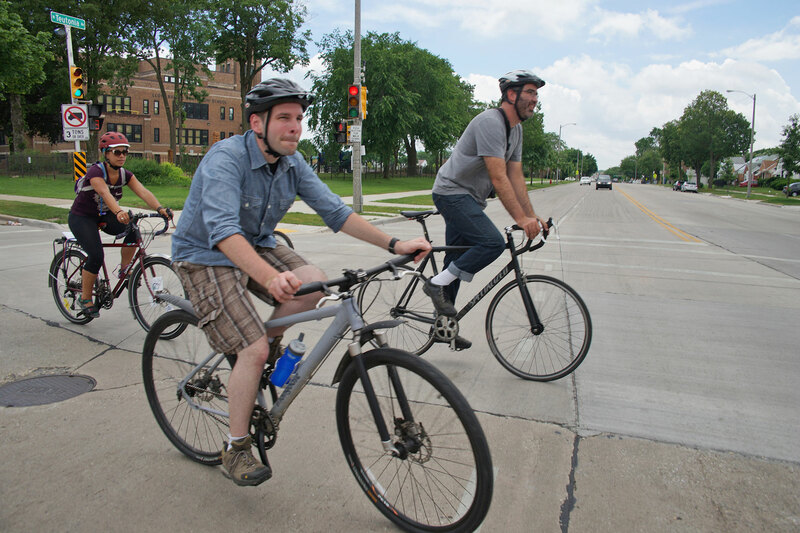 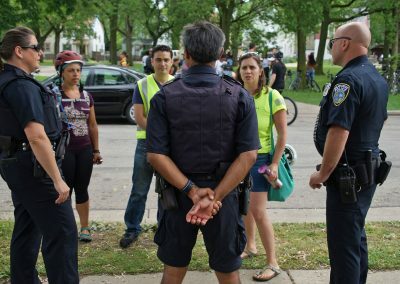 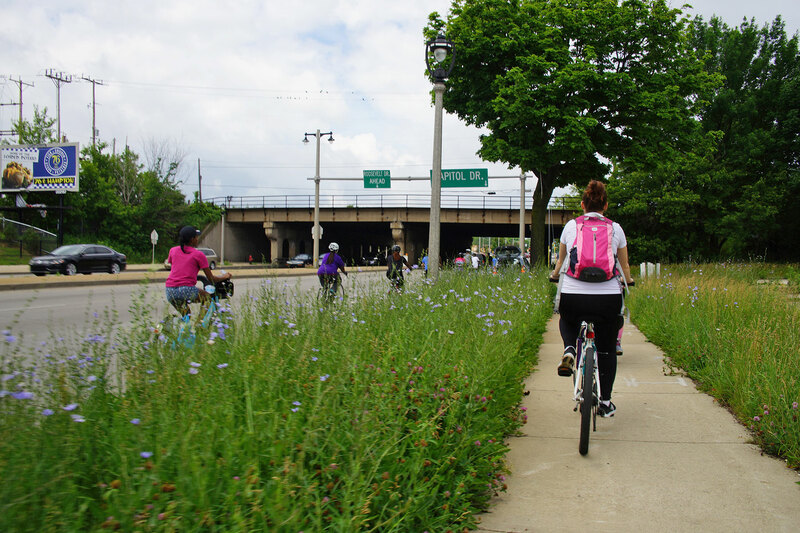 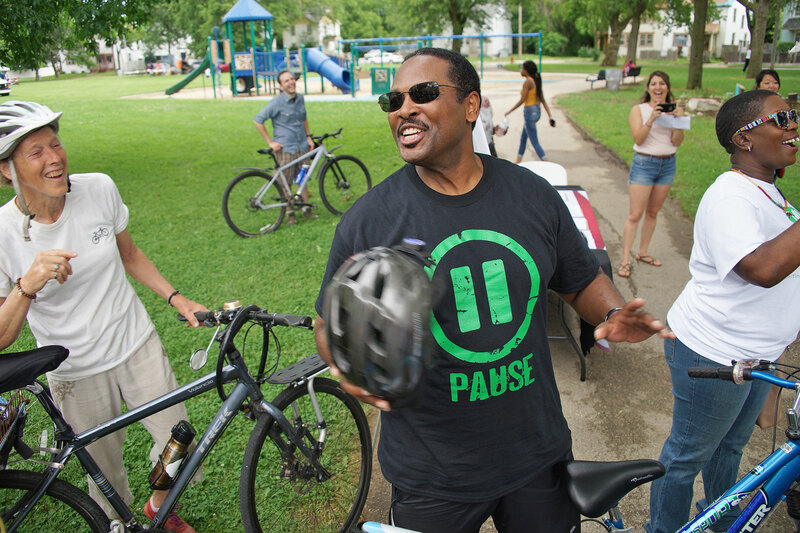 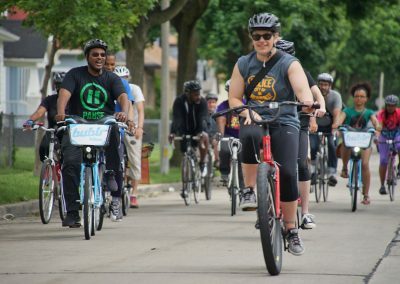 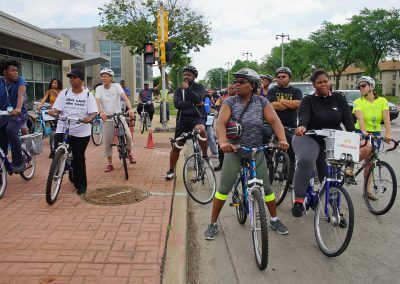 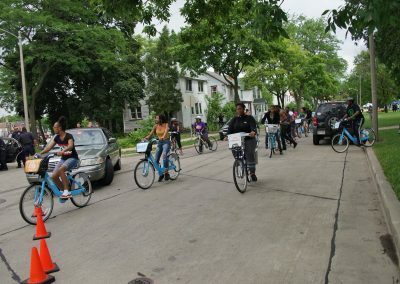 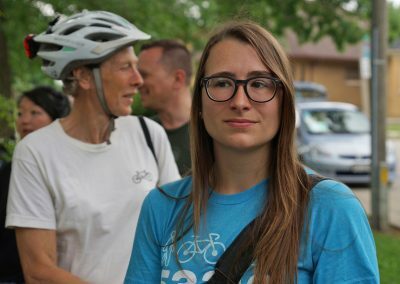 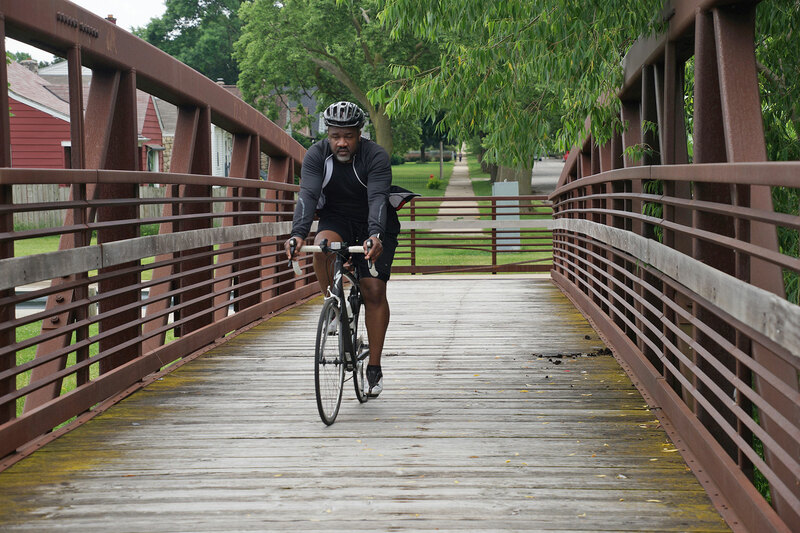 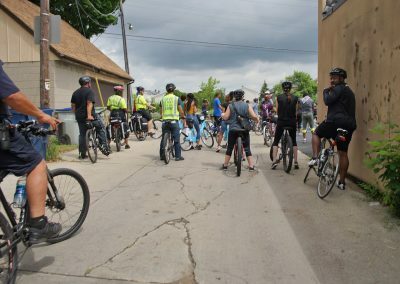 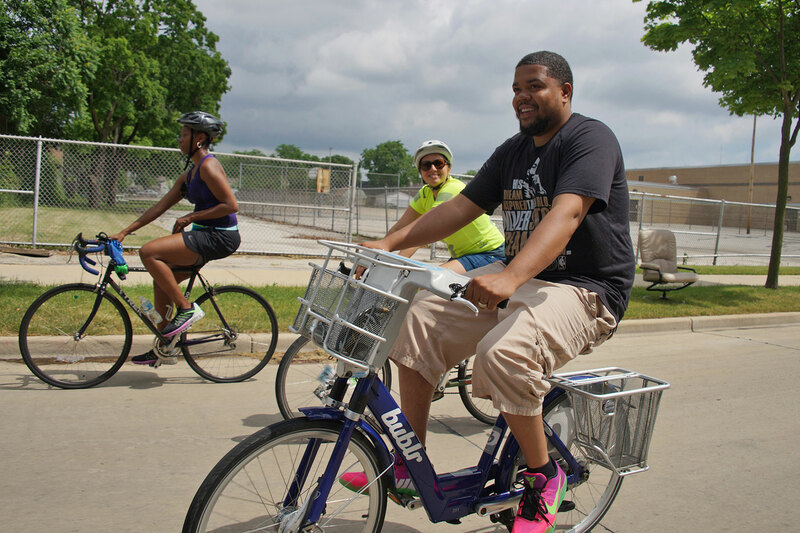 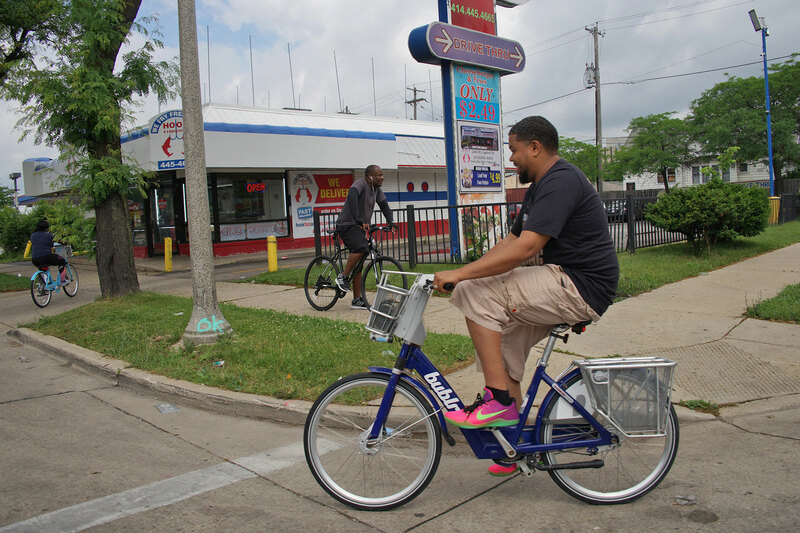 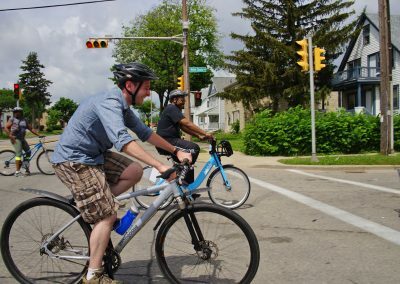 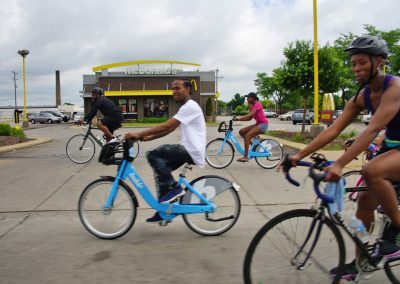 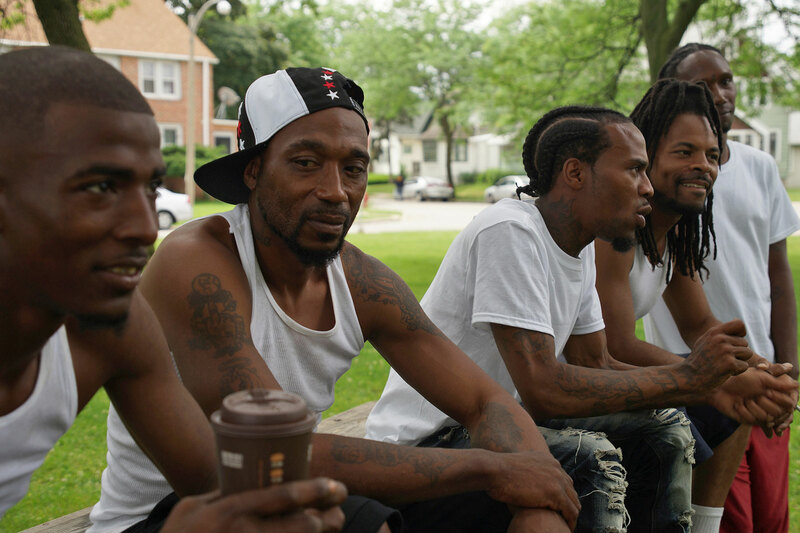 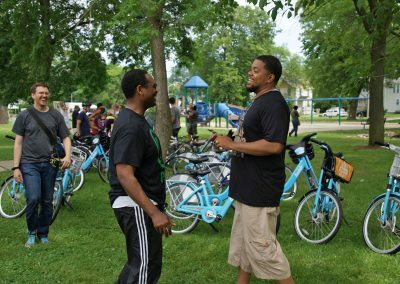 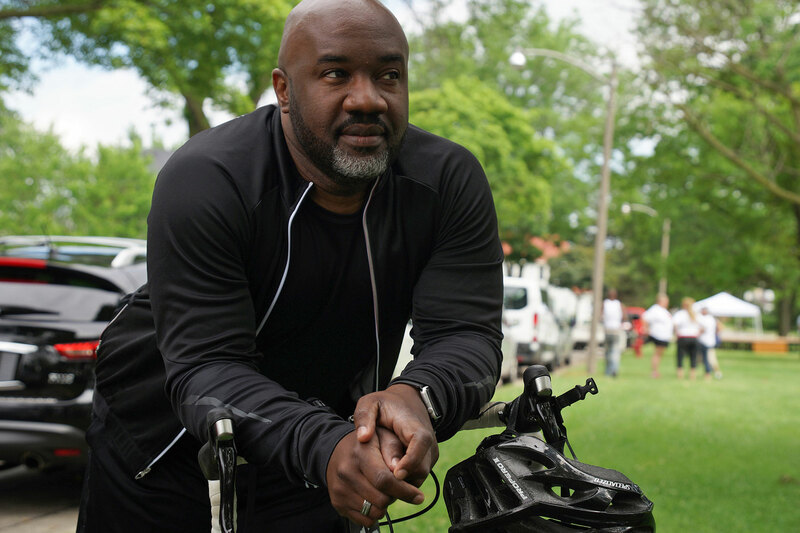 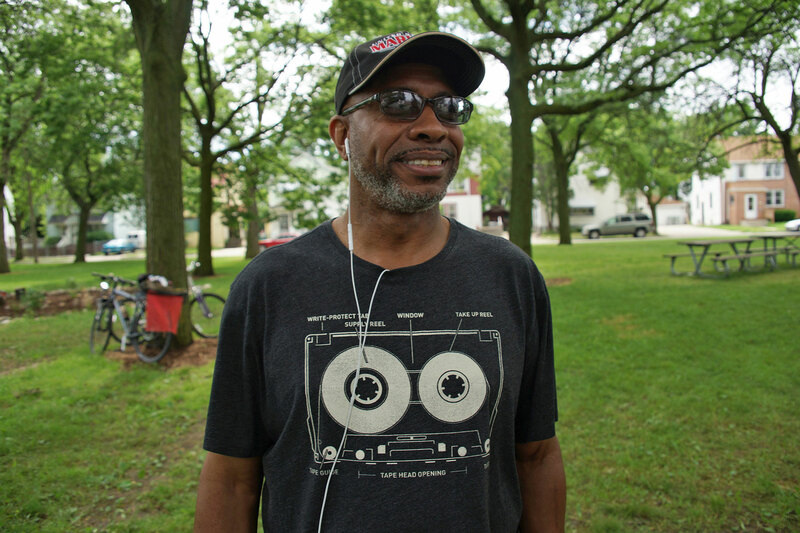 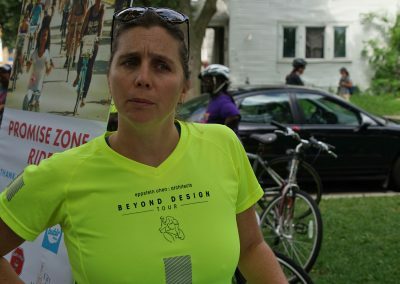 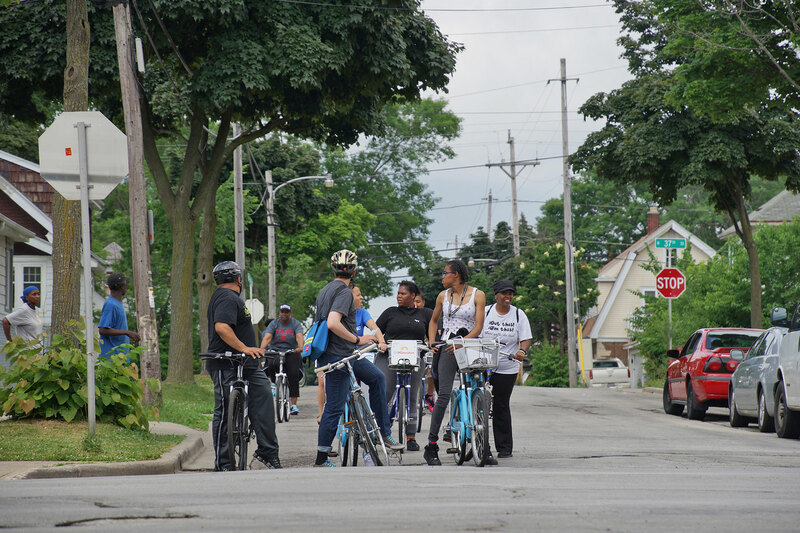 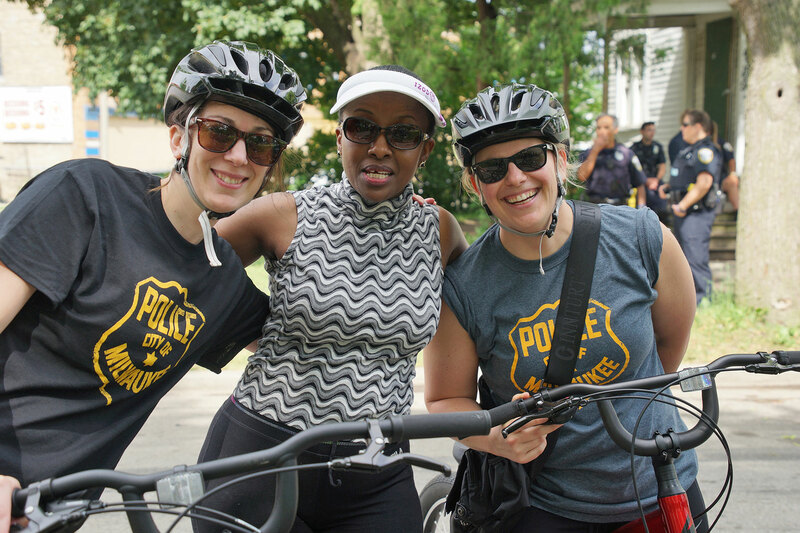 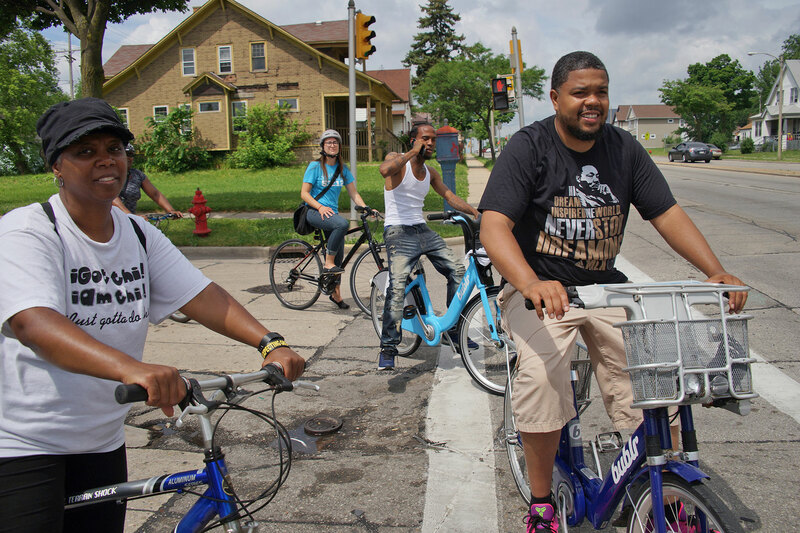 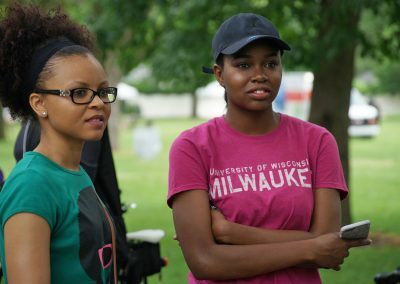 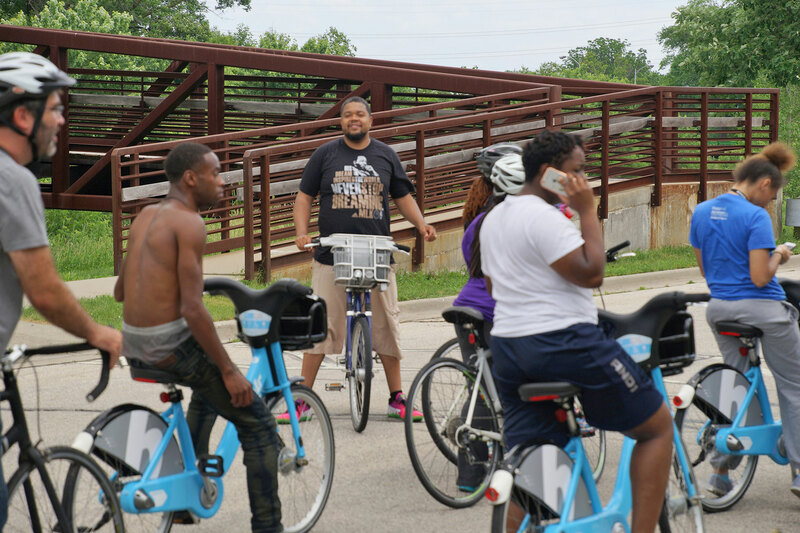 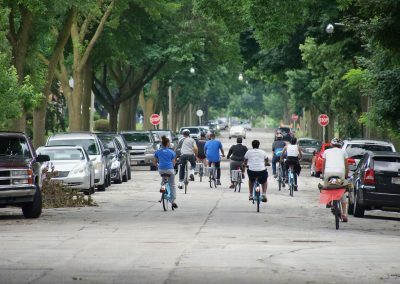 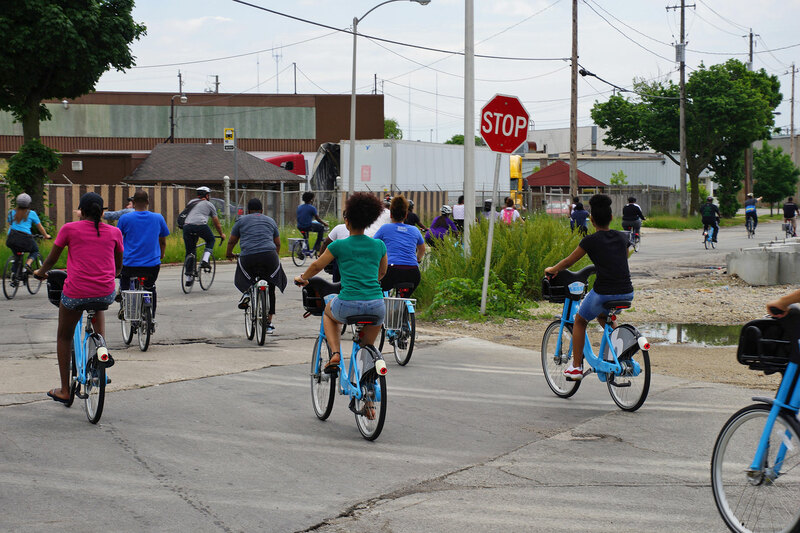 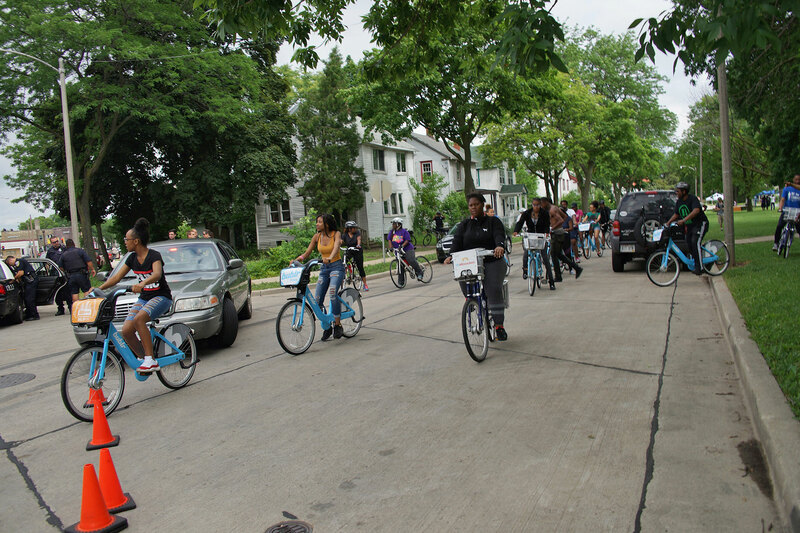 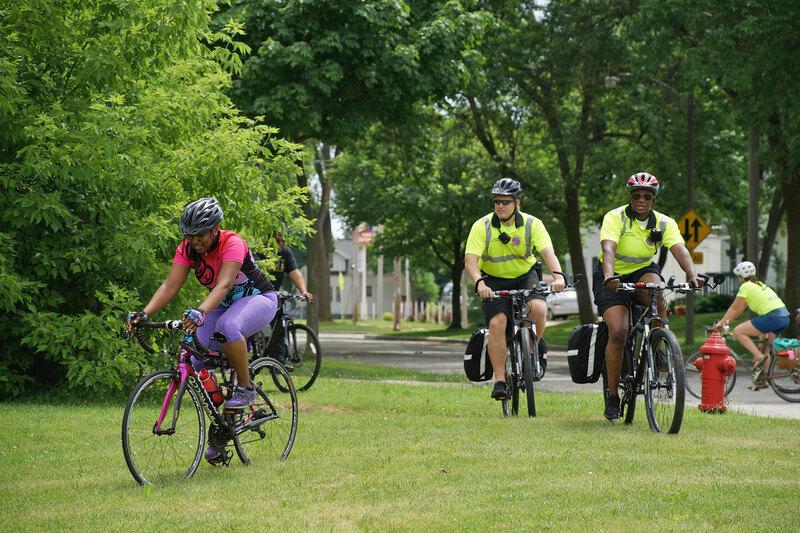 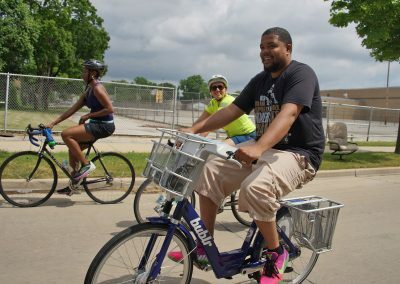 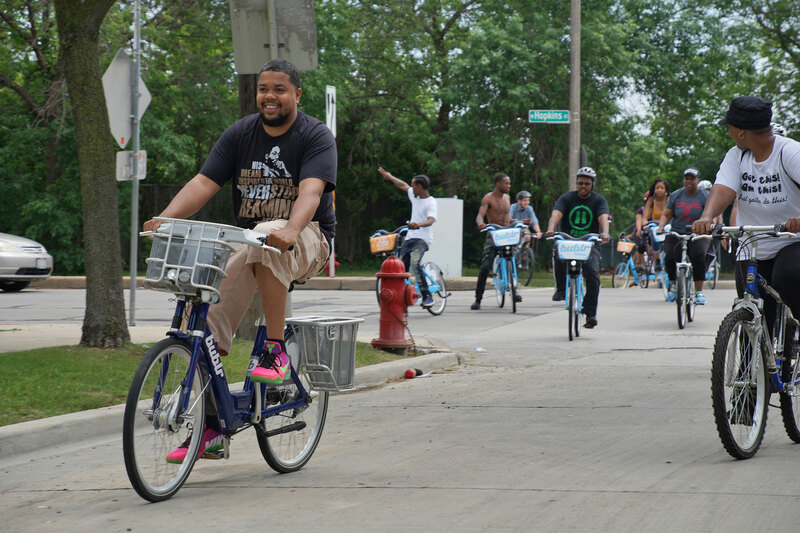 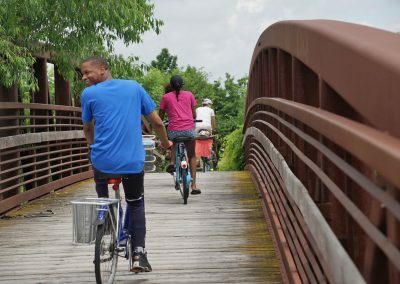 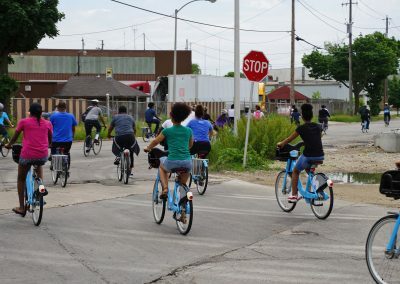 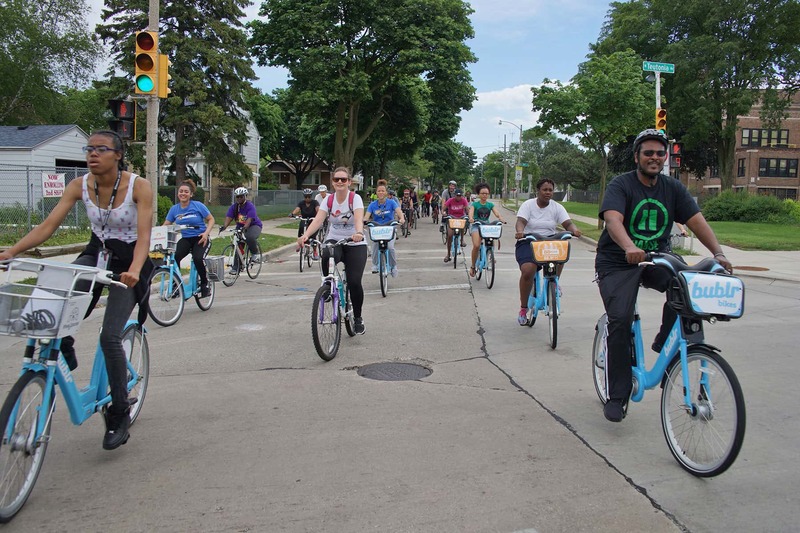 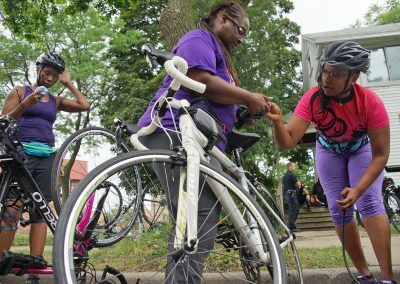 The first Promise Zone Bike Ride followed a 5-mile path through some of Milwaukee’s historical and industrial areas on June 17, connecting residents and launching the programs efforts to affect positive change. 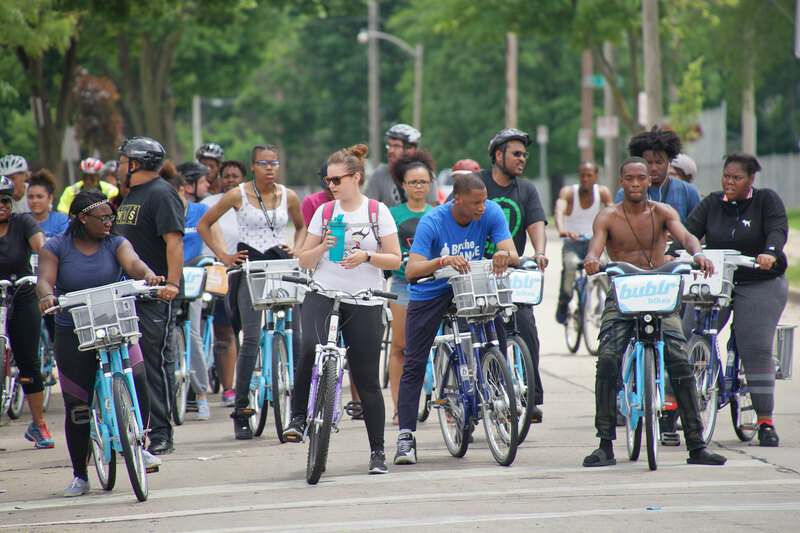 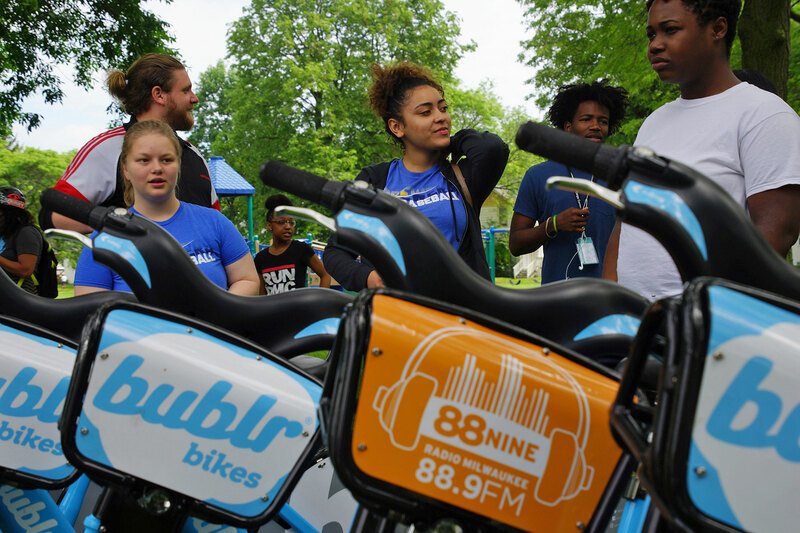 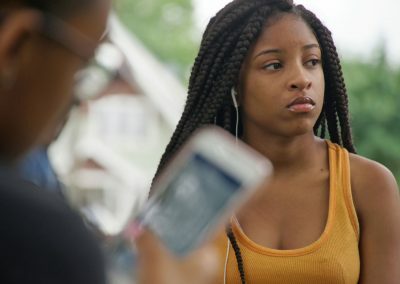 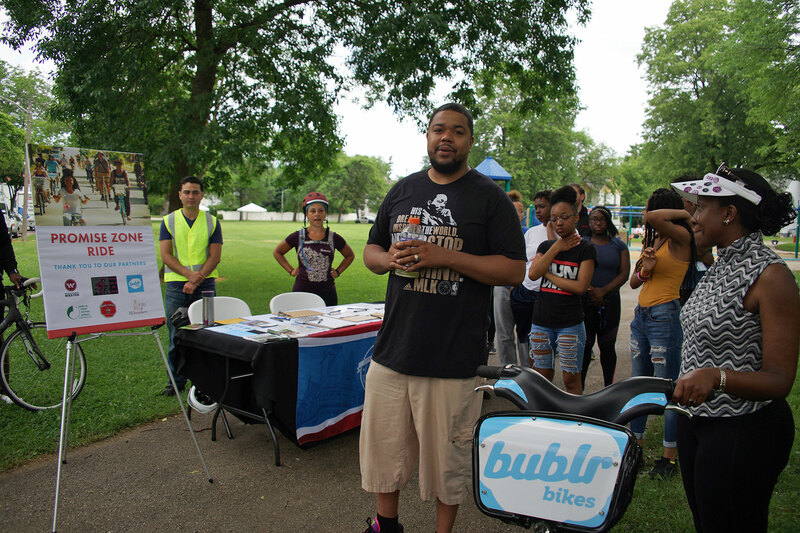 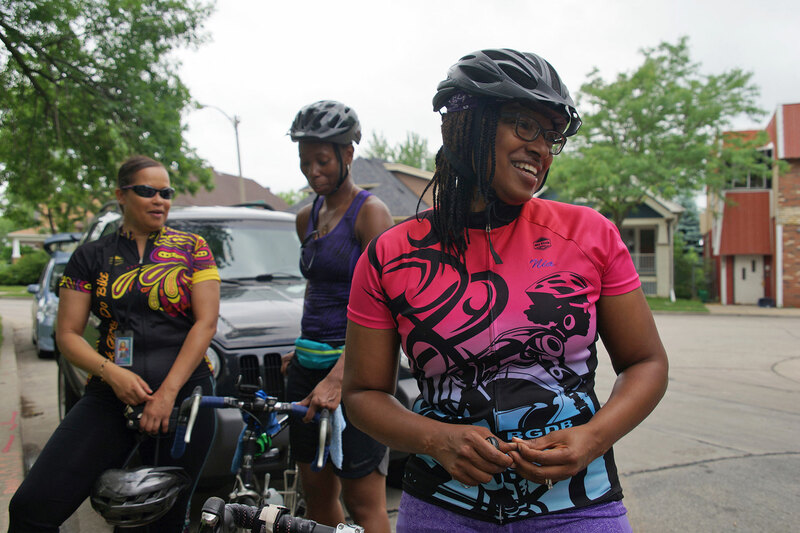 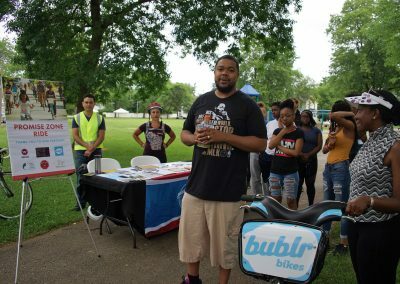 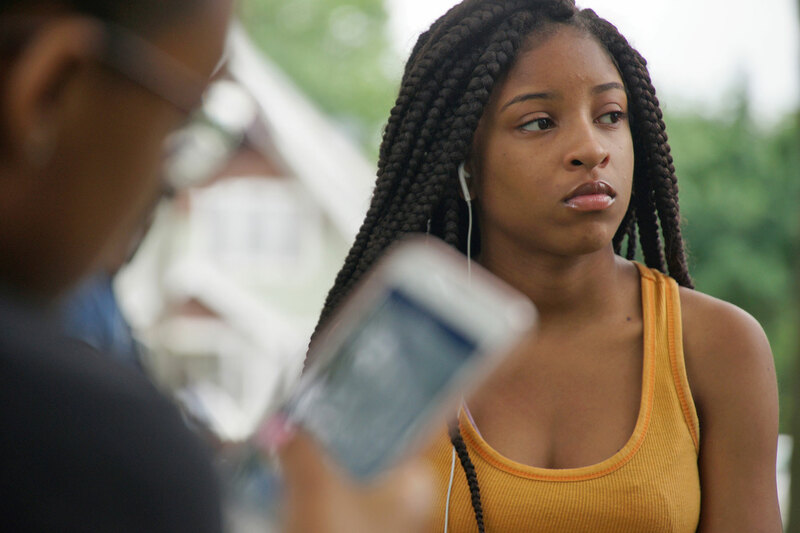 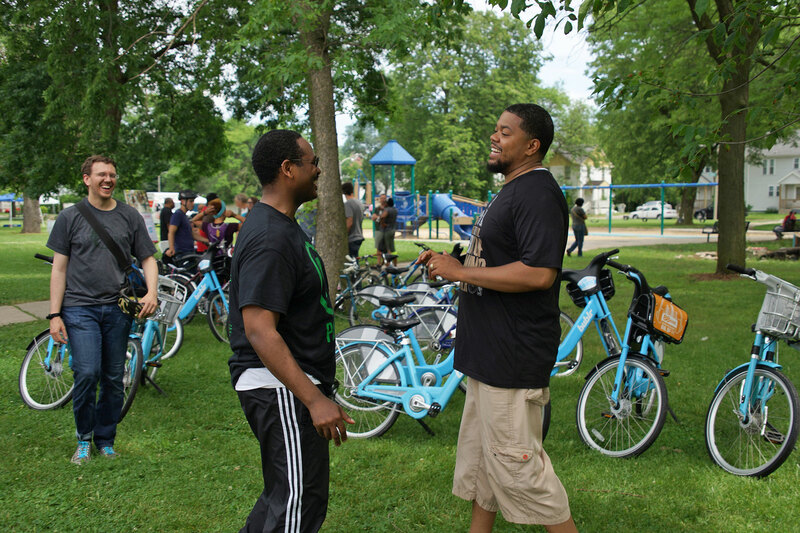 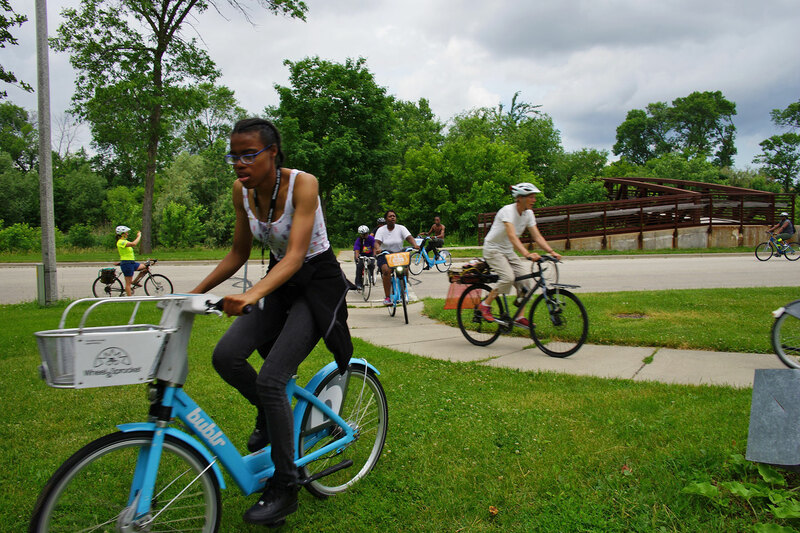 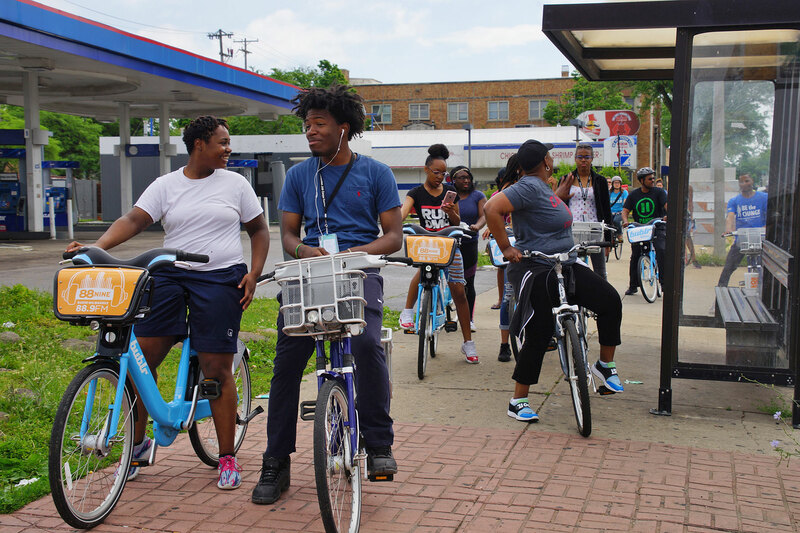 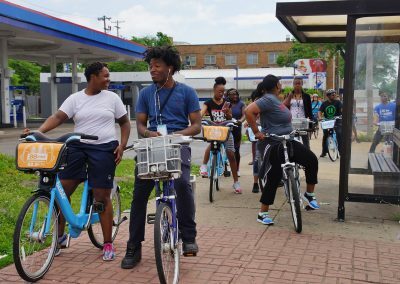 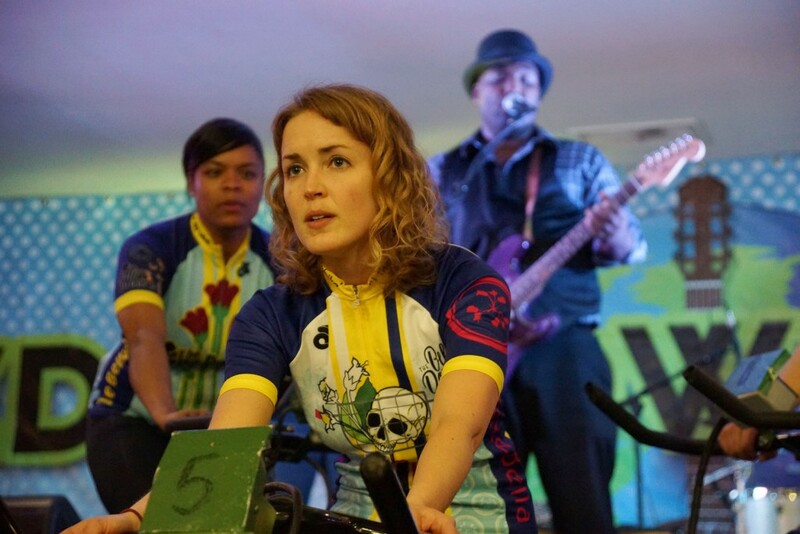 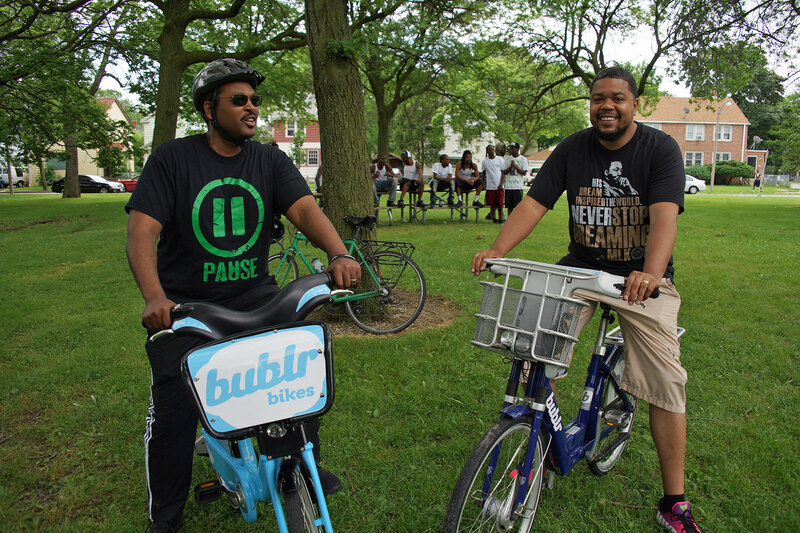 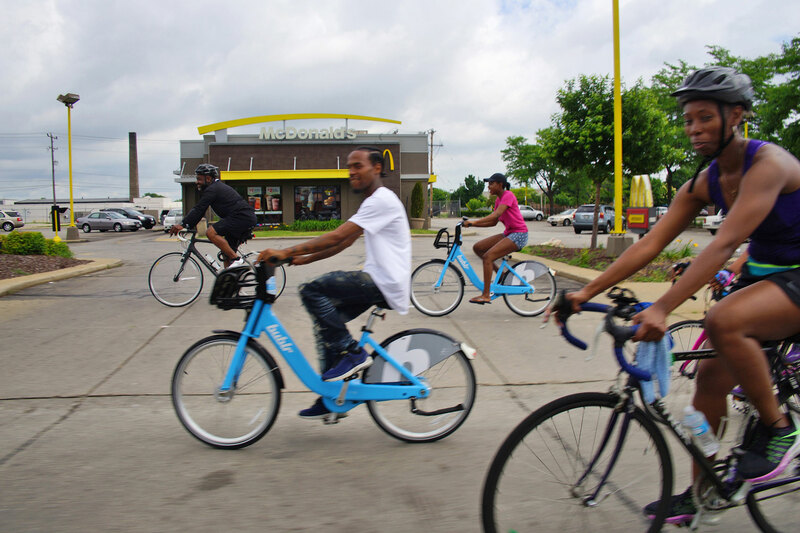 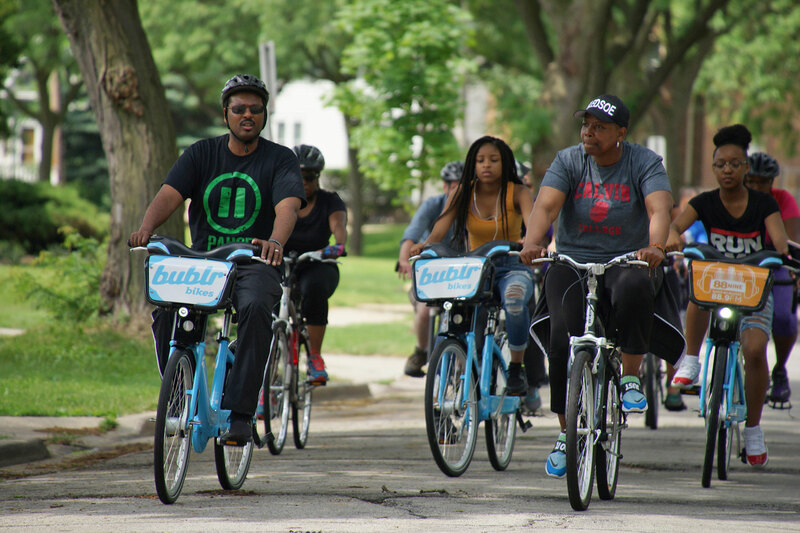 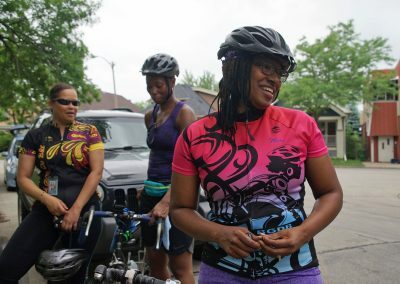 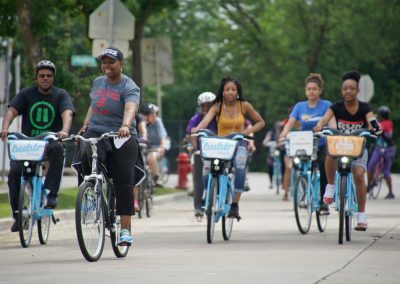 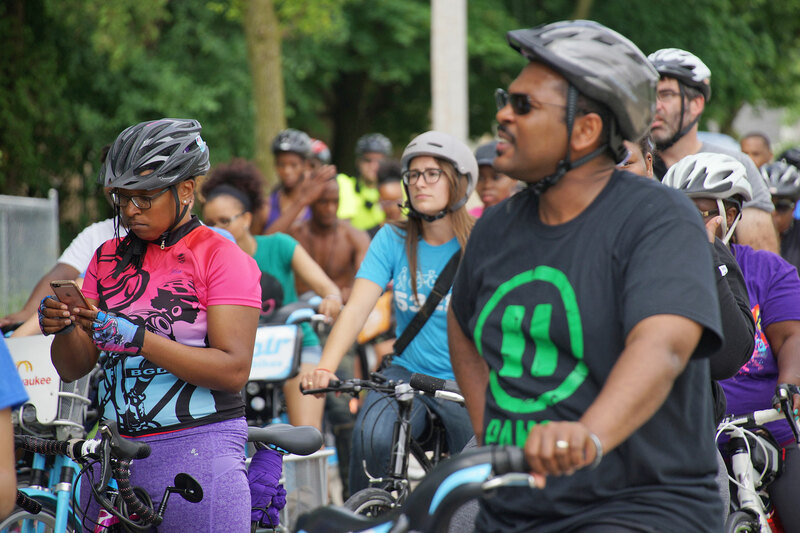 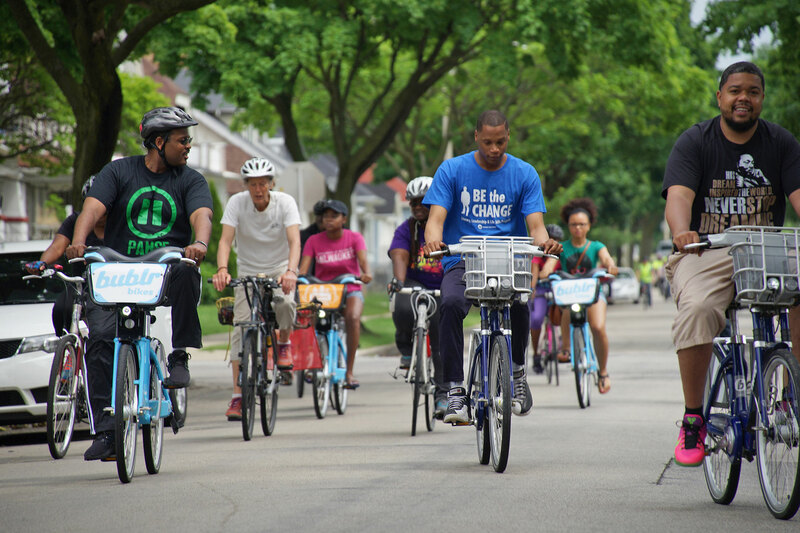 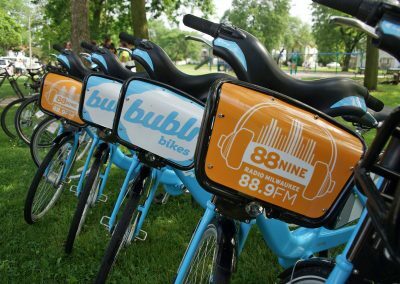 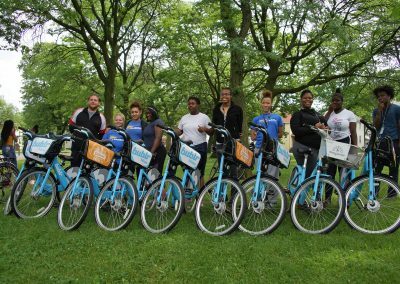 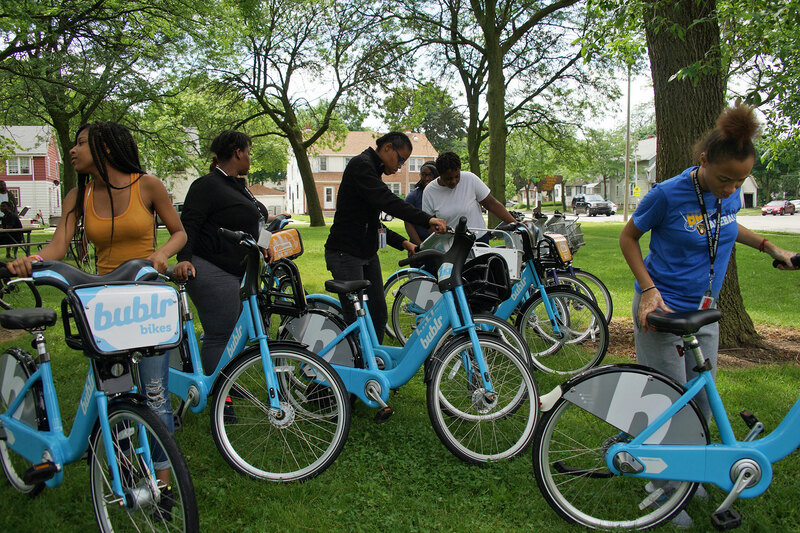 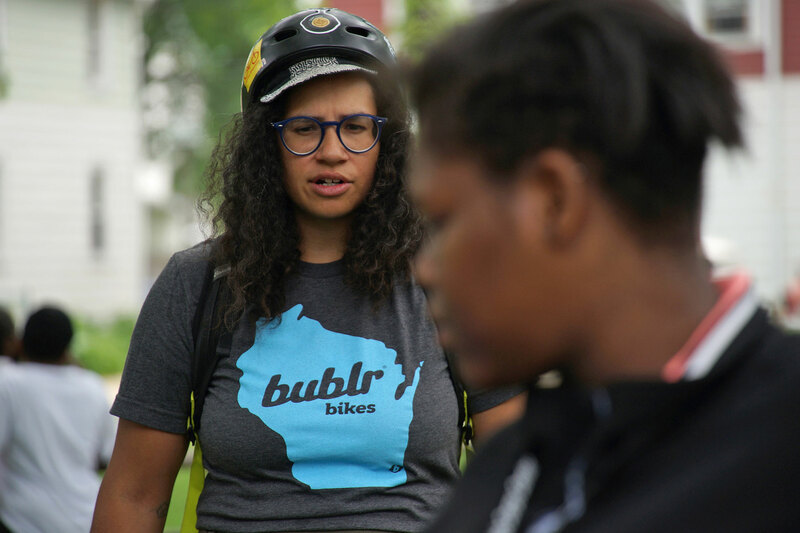 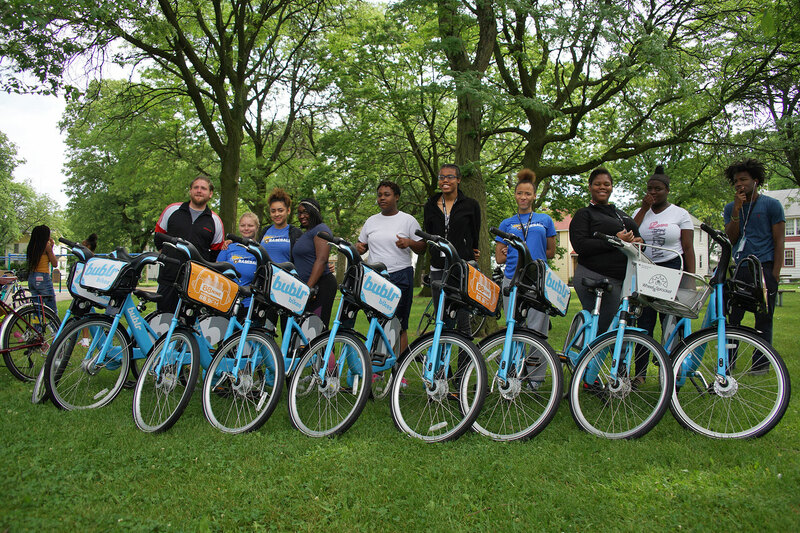 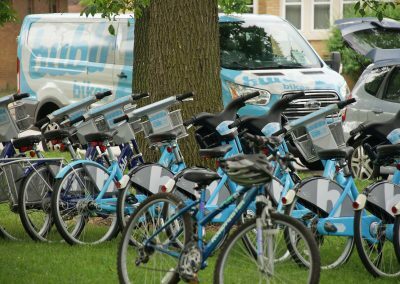 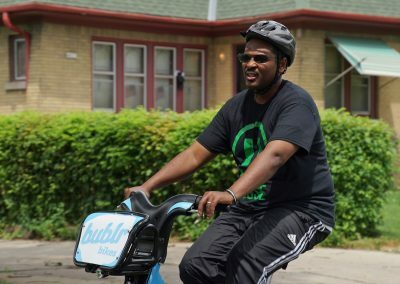 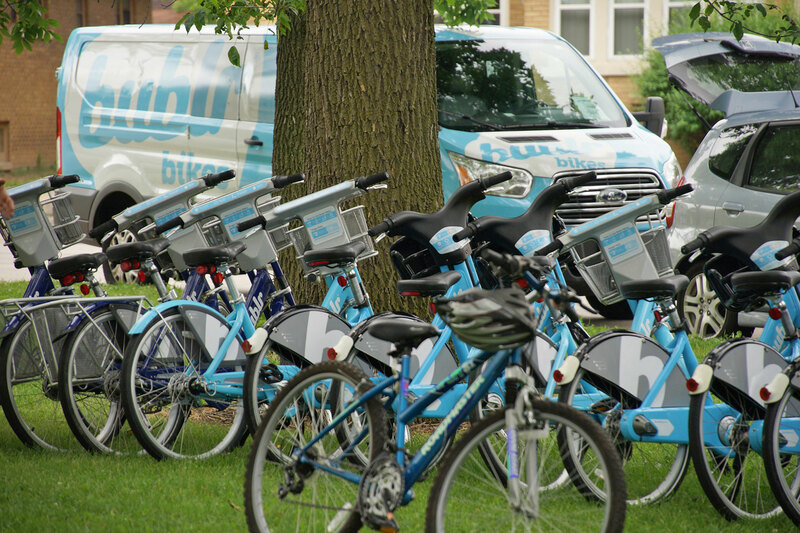 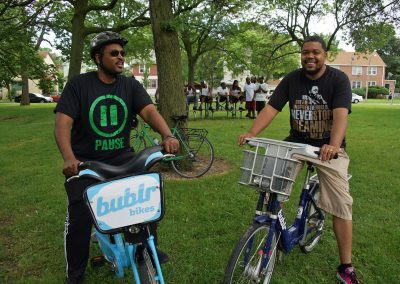 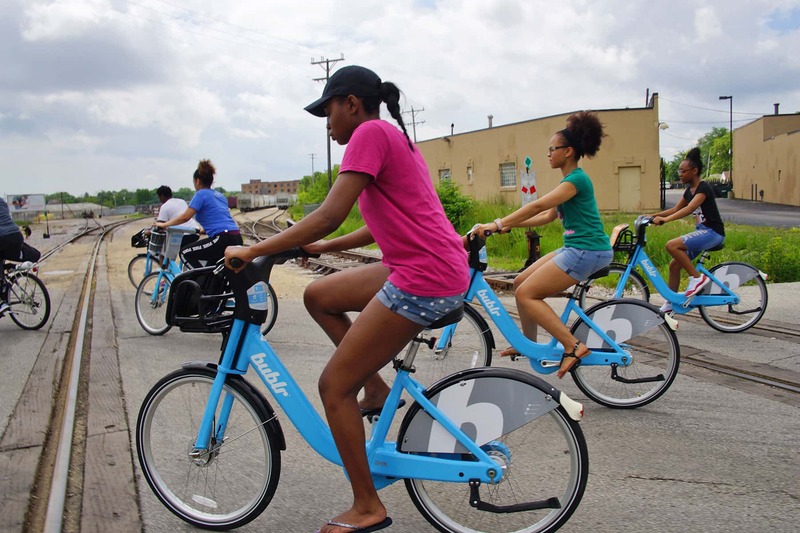 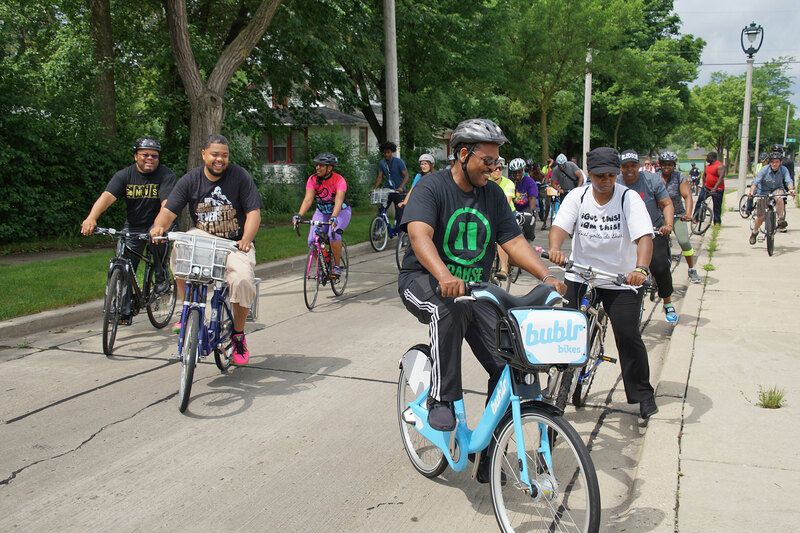 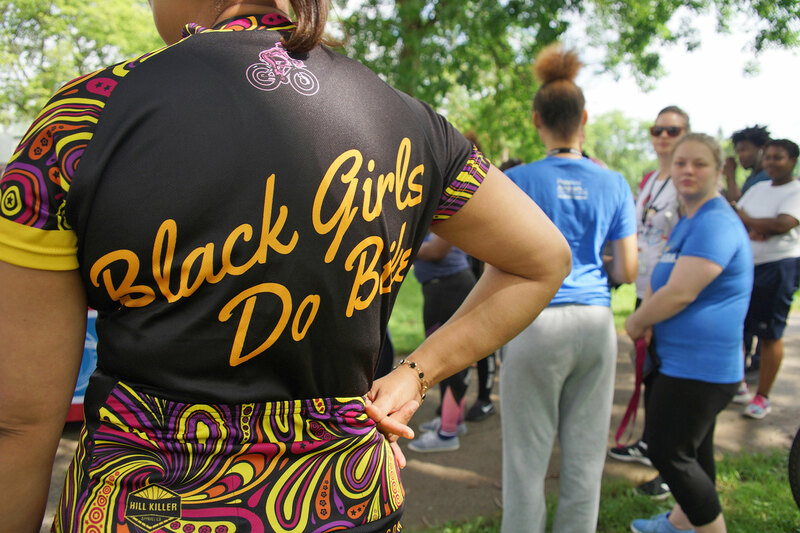 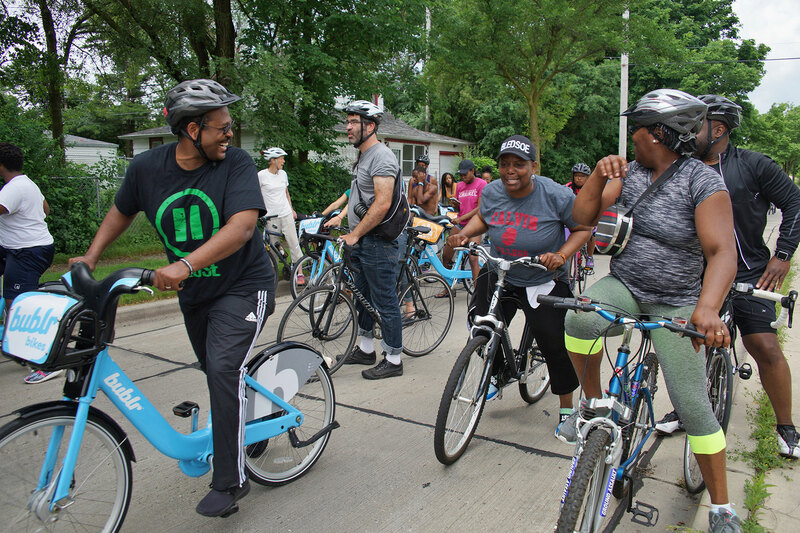 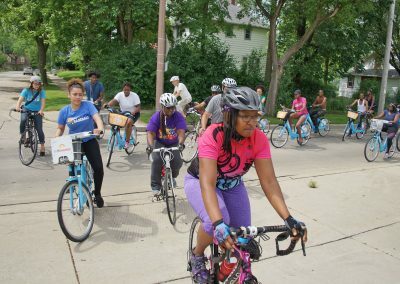 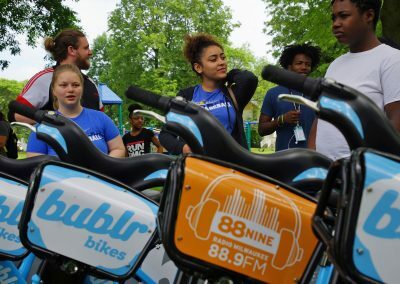 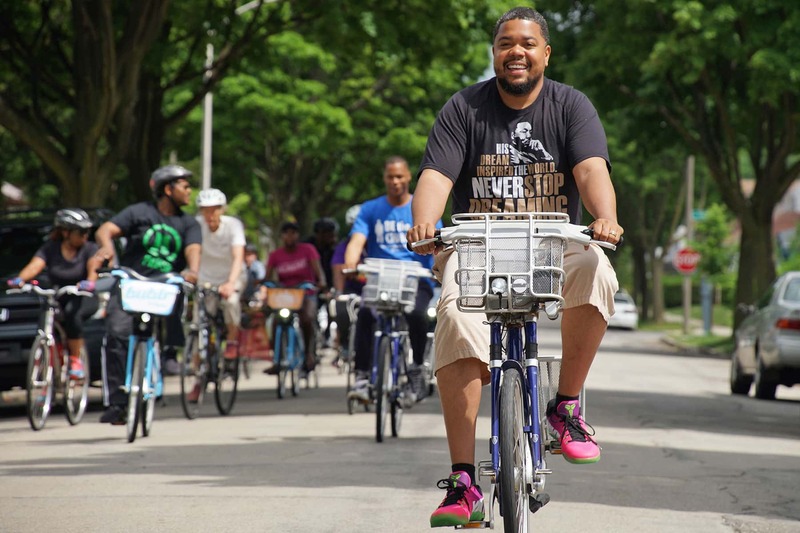 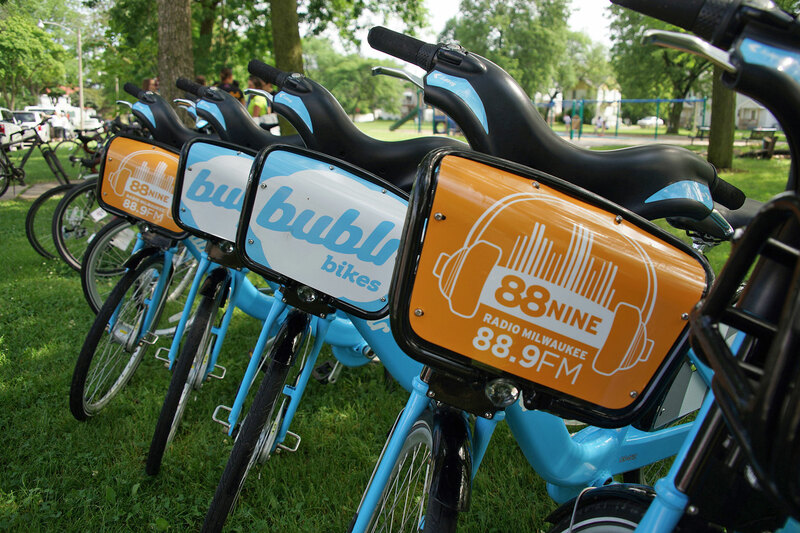 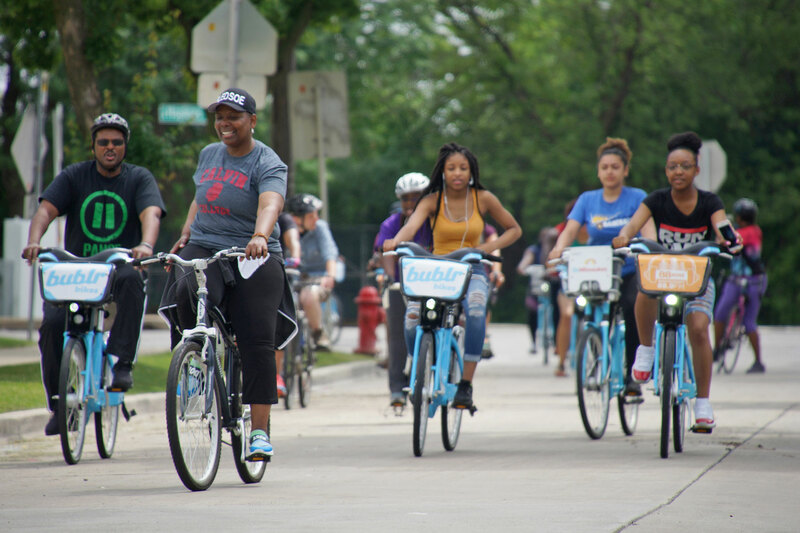 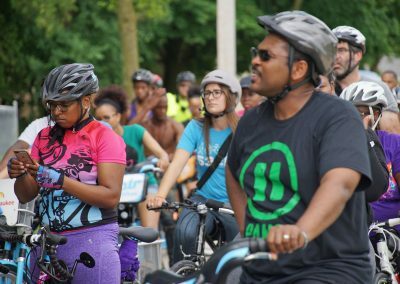 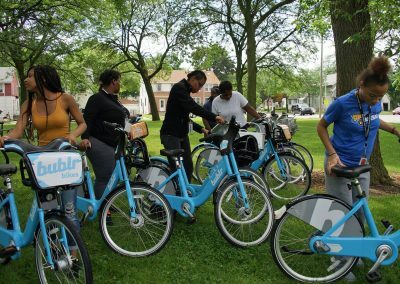 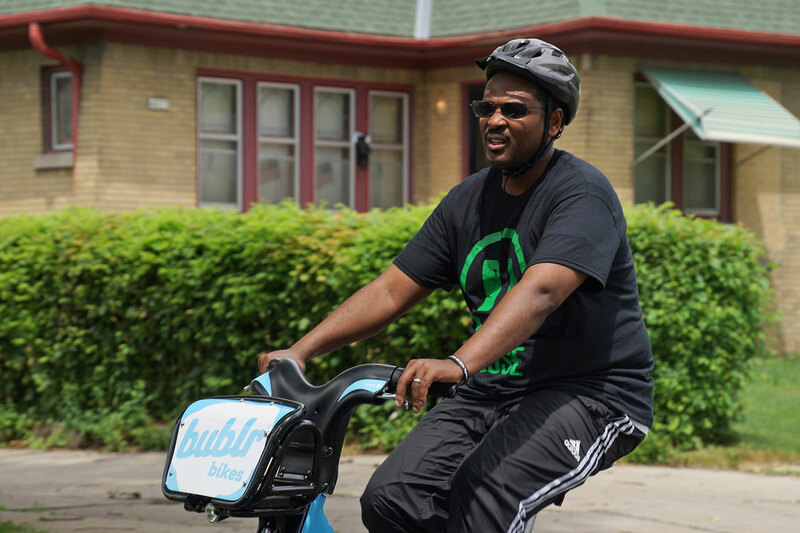 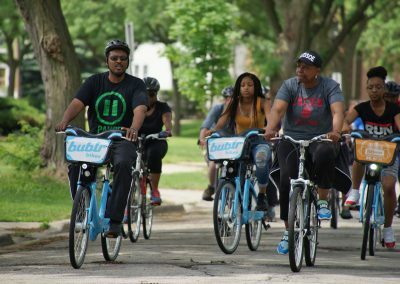 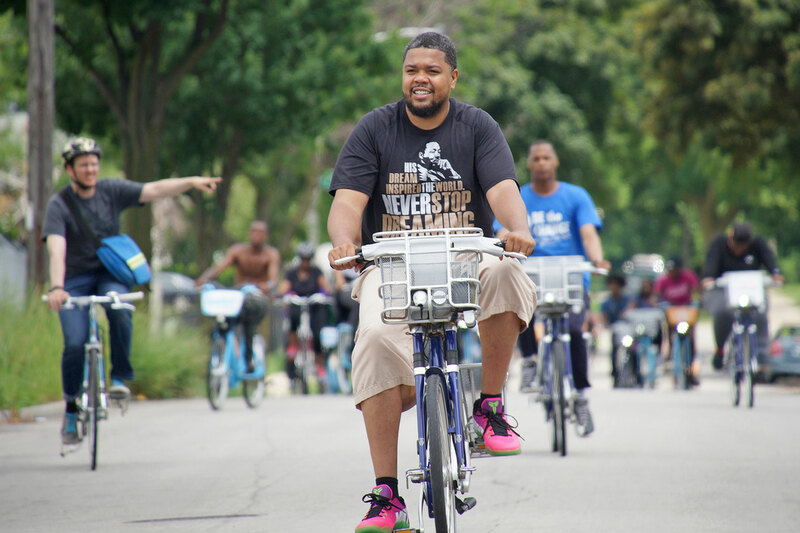 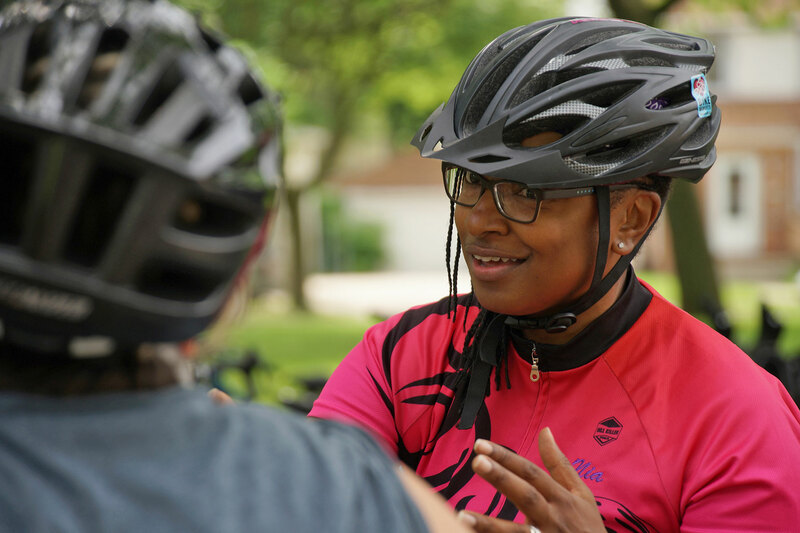 The ride partnership was comprised of the Northwest Side Community Development Corporation (NWSCDC), Common Council President Ashanti Hamilton, Alderman Khalif Rainey, Black Girls Do Bike, the Wisconsin Bike Federation and Bublr Bikes. 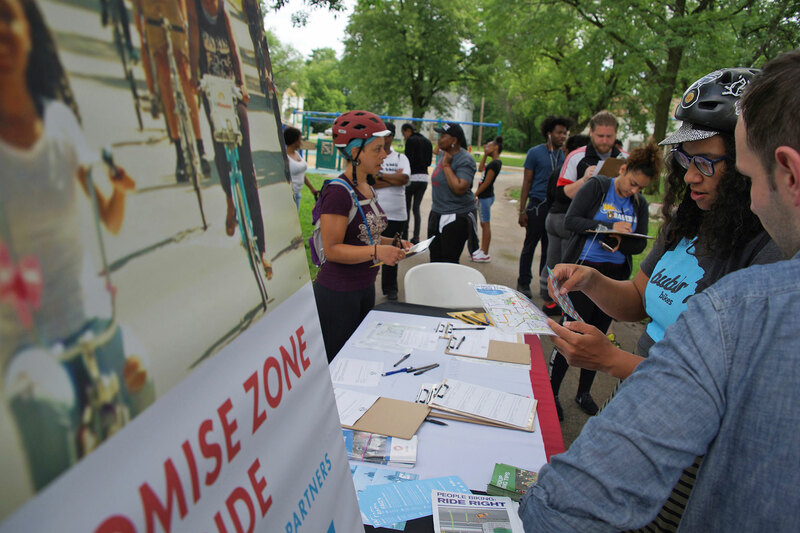 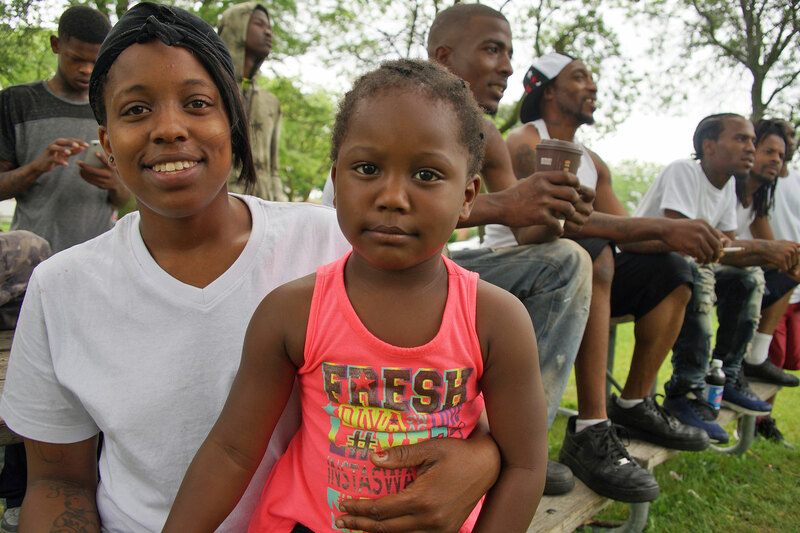 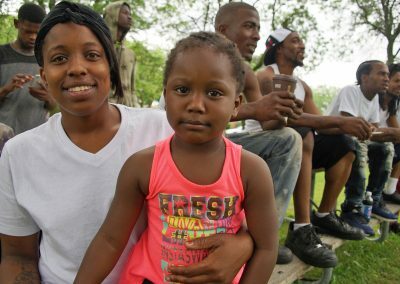 A series of city resource fairs in the four Promise Zones around Milwaukee have helped to bring hundreds of residents help with key life management issues, including child support, driver’s license recovery, job training, employment, health screenings and expungement counseling. 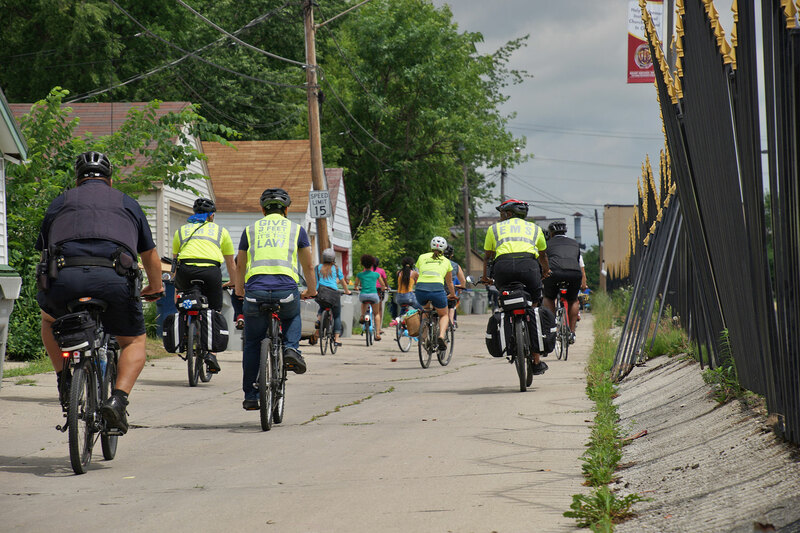 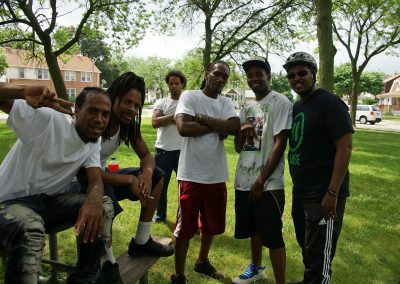 These images follow the event route as riders went through the heart of different neighborhoods for a day of exercise and community spirit. 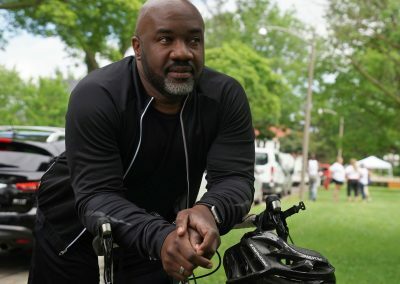 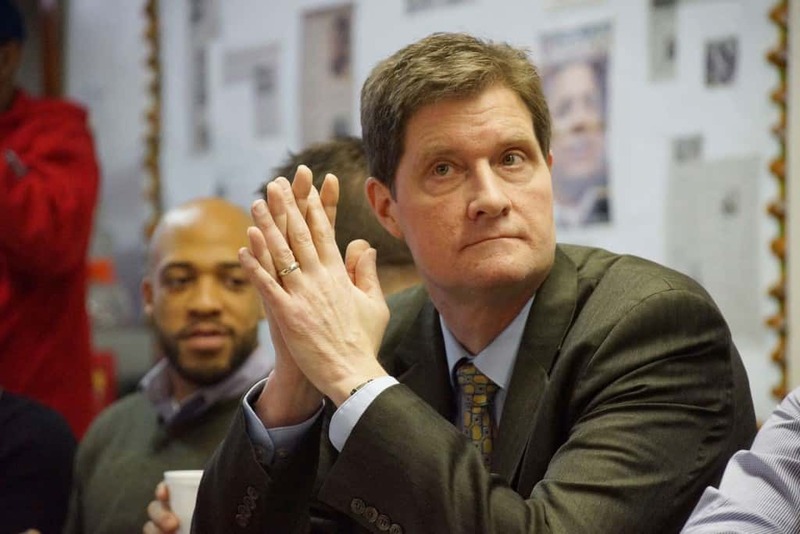 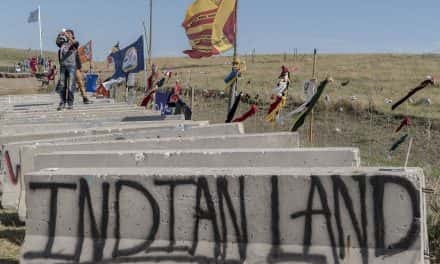 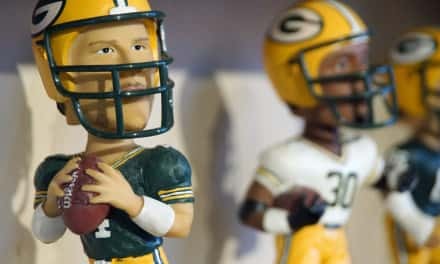 Former Creative Director and Photojournalist for the Milwaukee Business Journal, Lee brings his years of international experience as an award-winning foreign correspondent in Asia and Europe. Lee proudly uses MCTS as the exclusive mode of transportation for covering all his news reports.